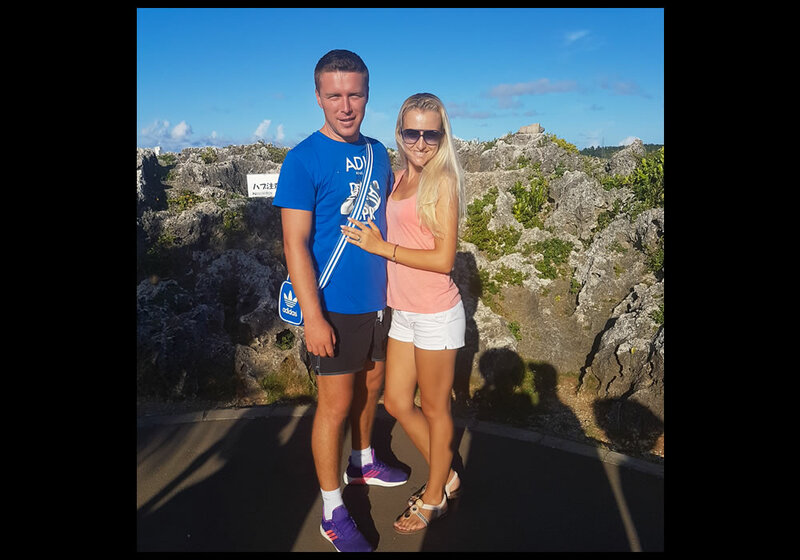 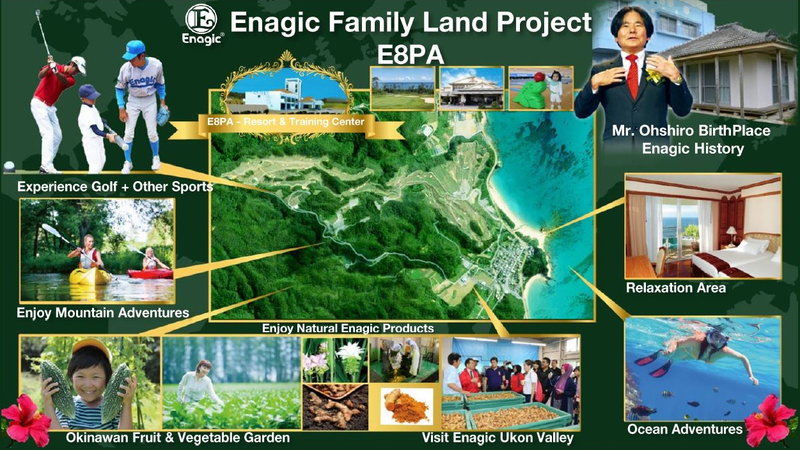 Experience roots of Enagic in Okinawa Paradise. 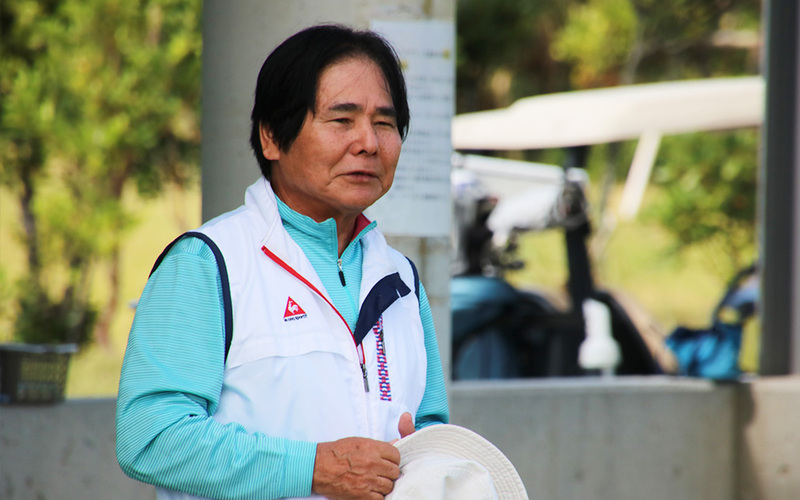 I, Hironari Ohshiro, was born in Sedake of Nago City. 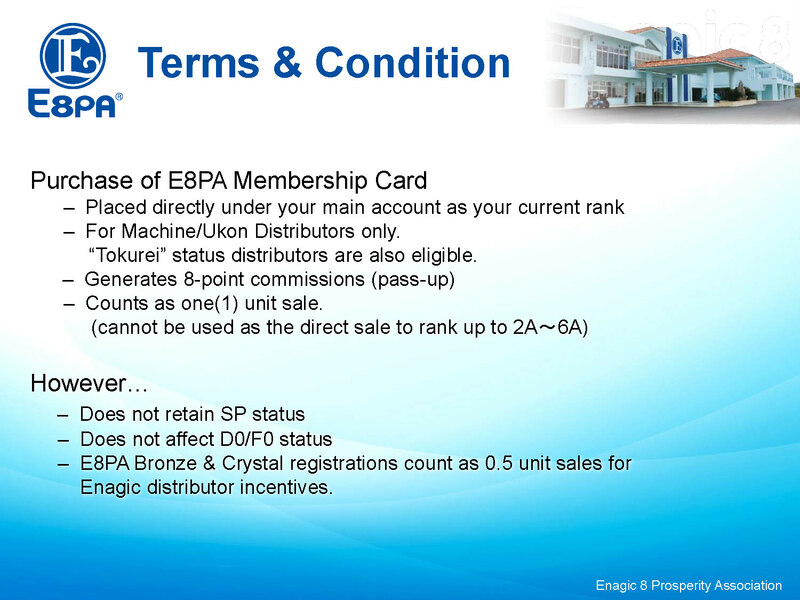 I have been offering a product and providing a patented 8-point business model for over 25 years now. 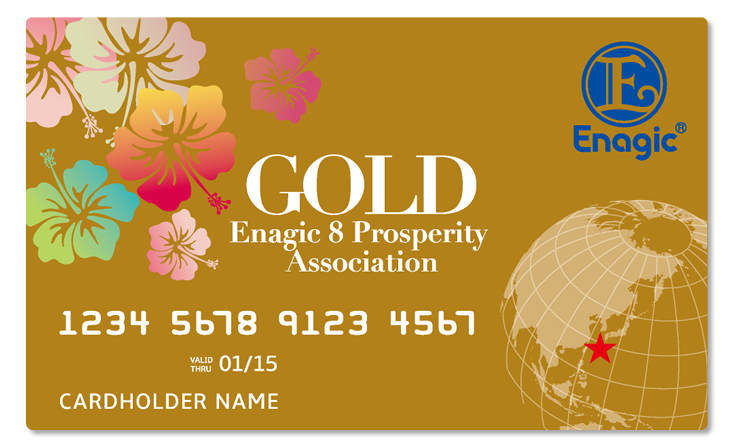 Enagic has been reaching out to the world with mission of spreading True Health （Physical Health, Financial Health and Health of Mind）and our valued distributors have changed the lifestyle of many people across the globe. 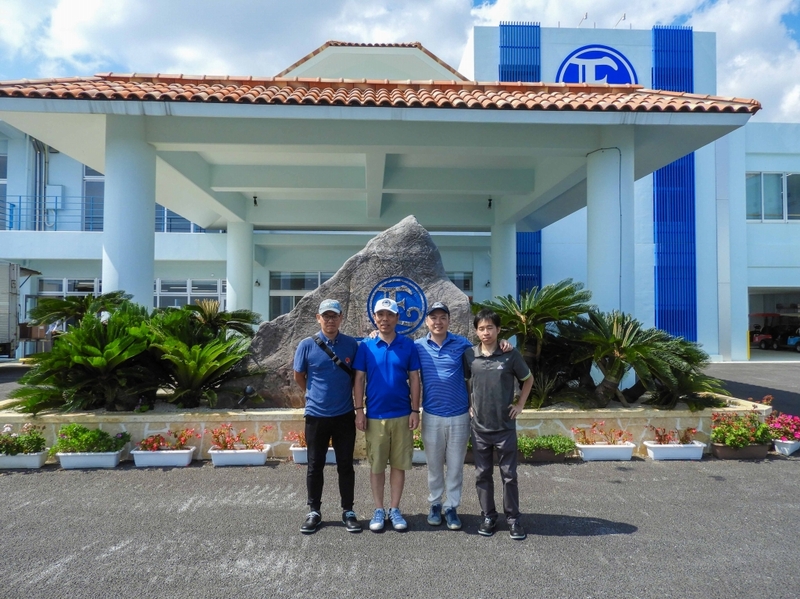 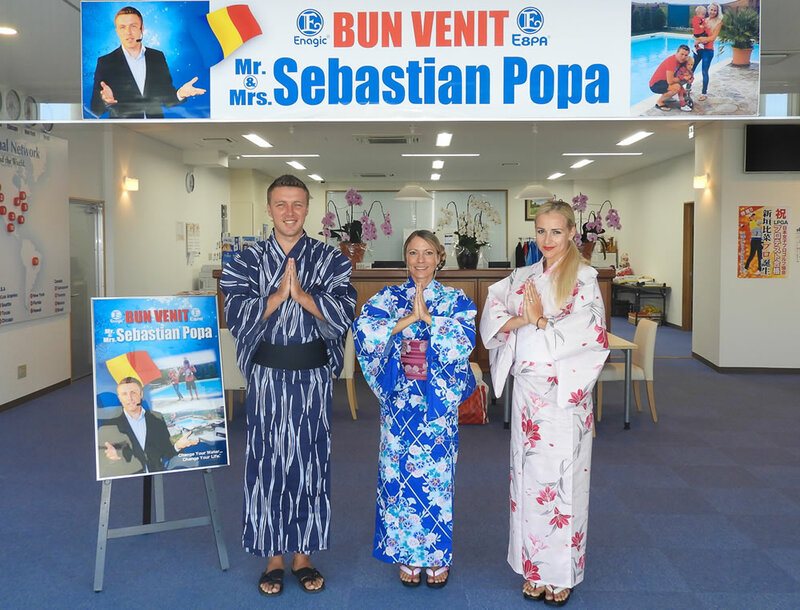 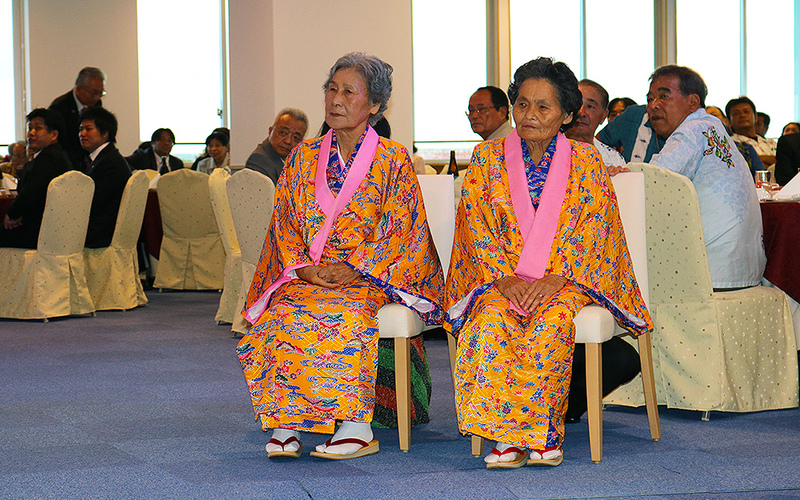 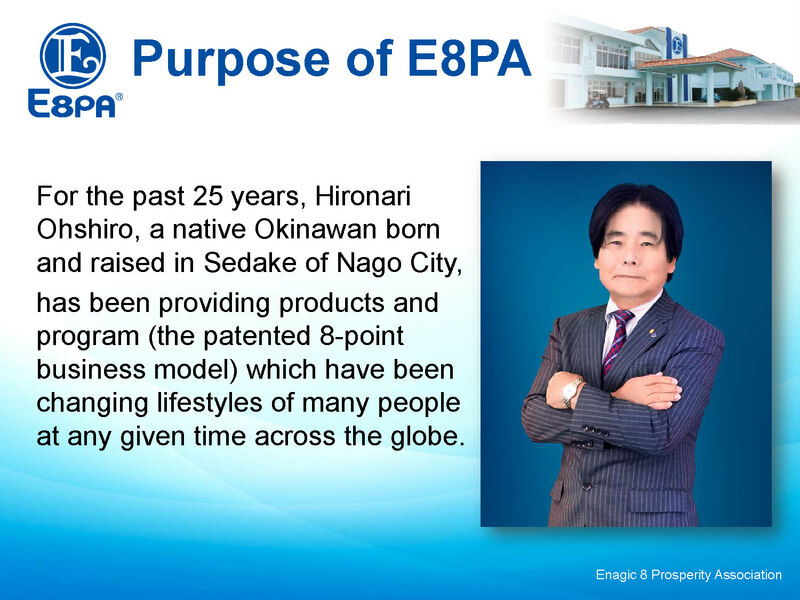 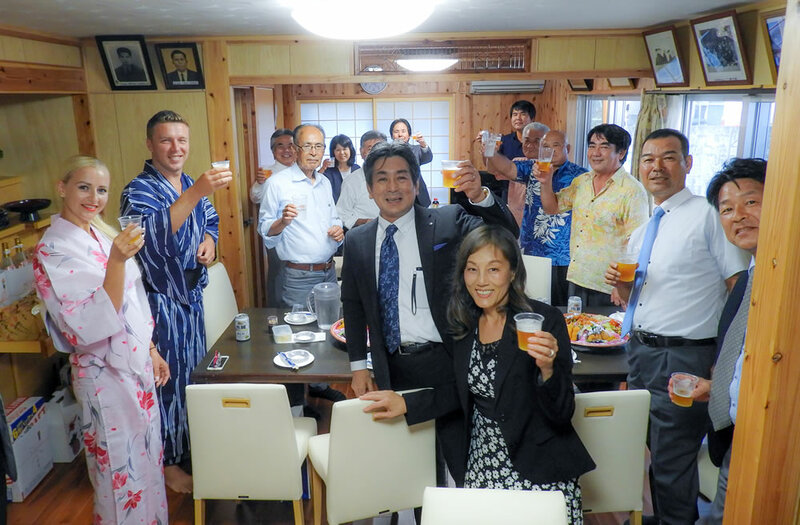 Ten years ago, I purchase a large land here in Sedake and I decided to establish the E8PA facility on this land for our global Enagic Family. 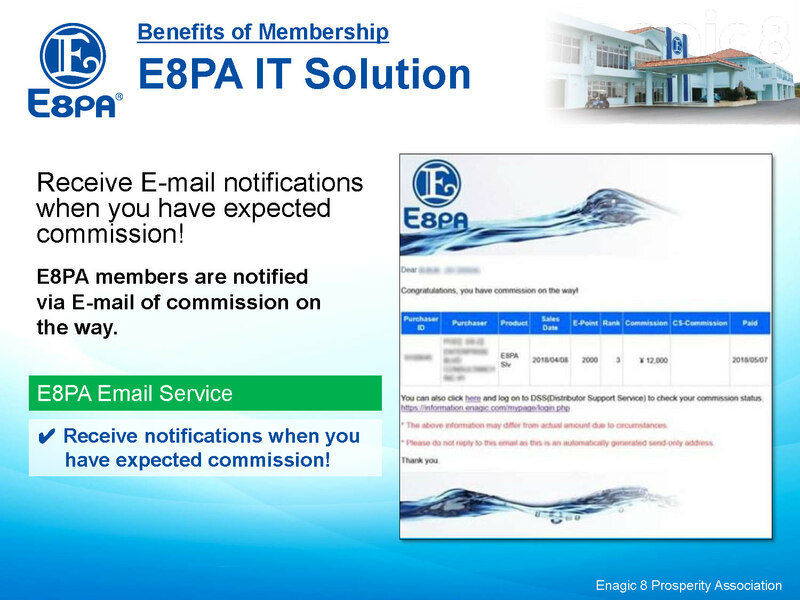 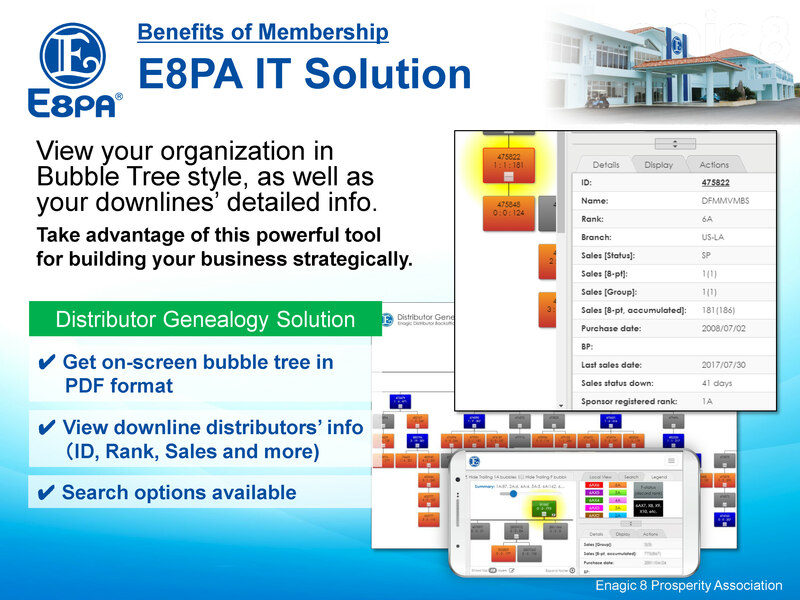 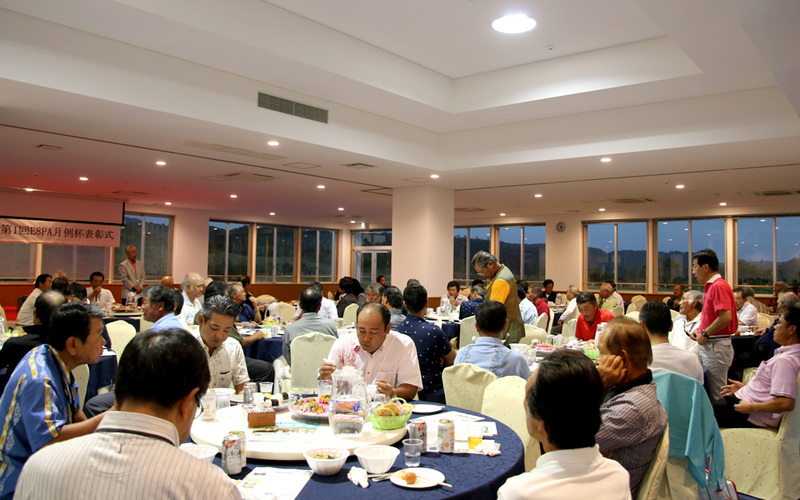 We would like to implement E8PA Membership. 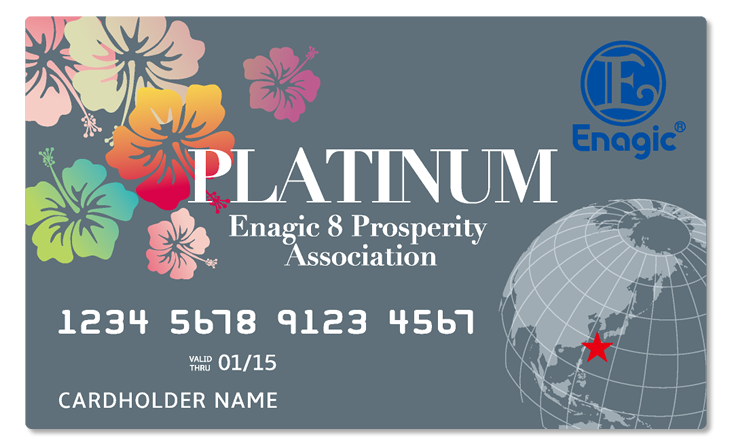 This membership can only be joined by Enagic distributors who already have a distributor ID and are drinking Kangen Water. 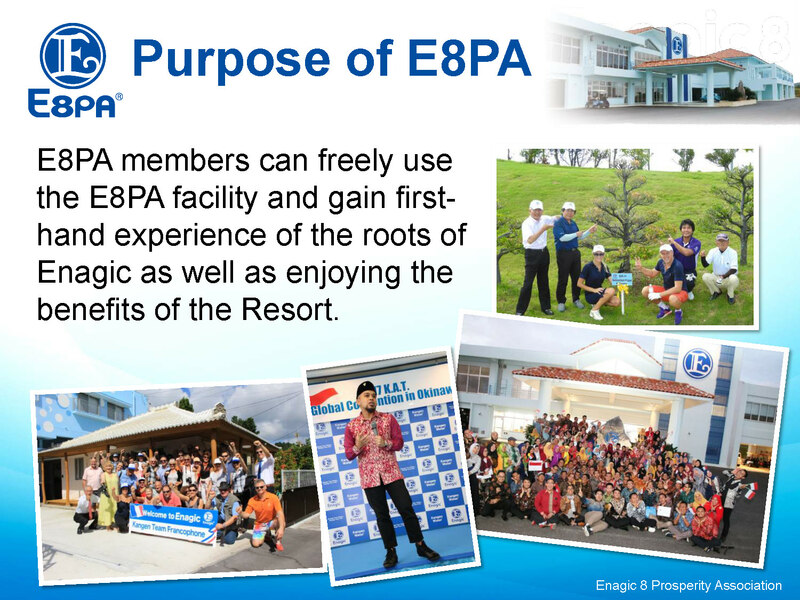 This facility can be used freely to learn about Enagic’s philosophy and to utilize all the programs offered by E8PA. 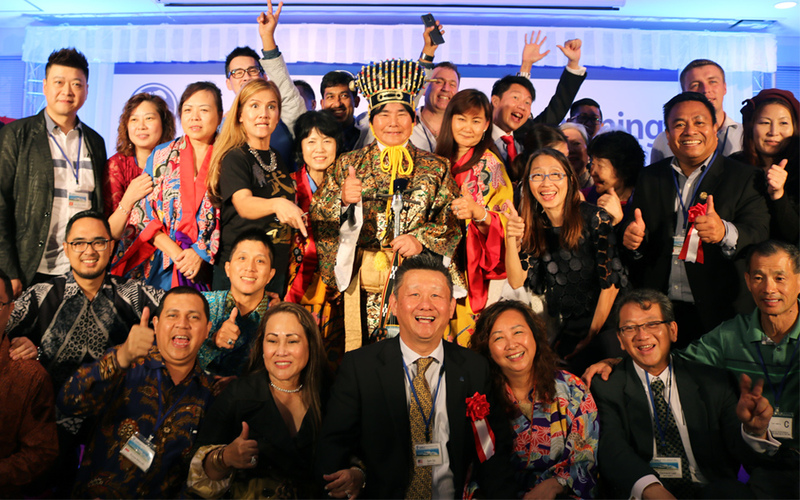 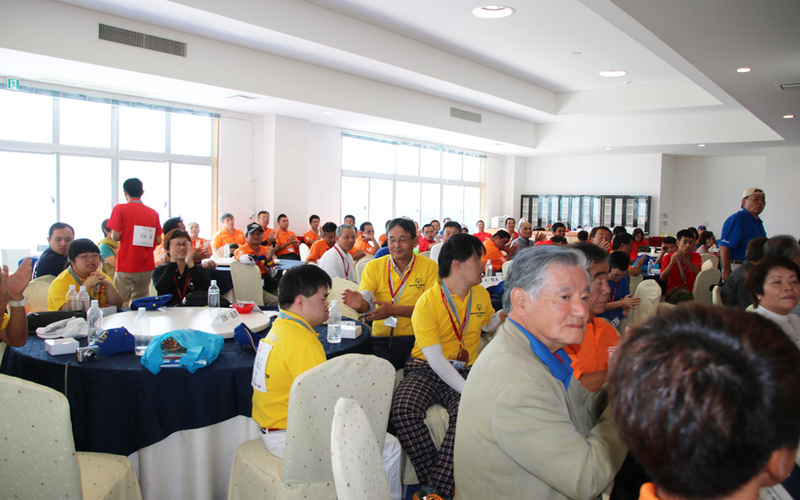 This global family of true health will continue to grow, bringing prosperity to our valued distributors and hopefully contributing to world peace. 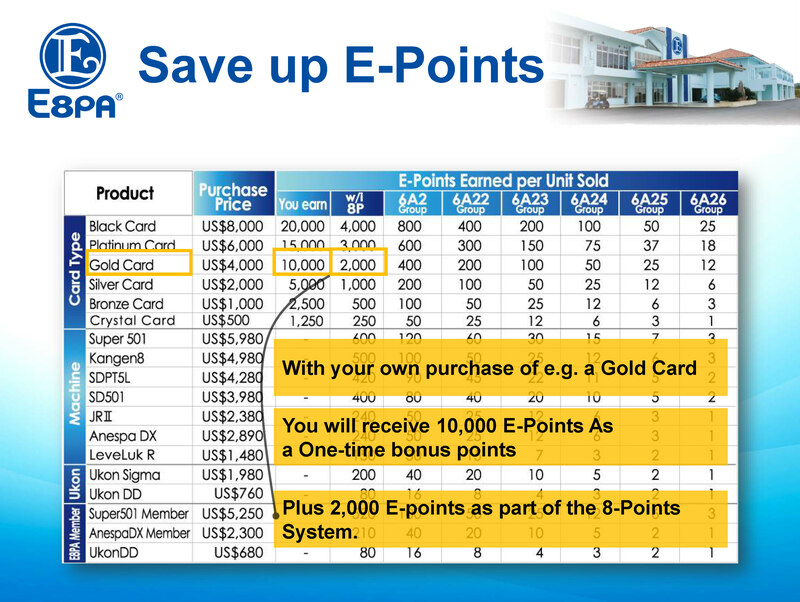 1 count as one(1) unit sale. 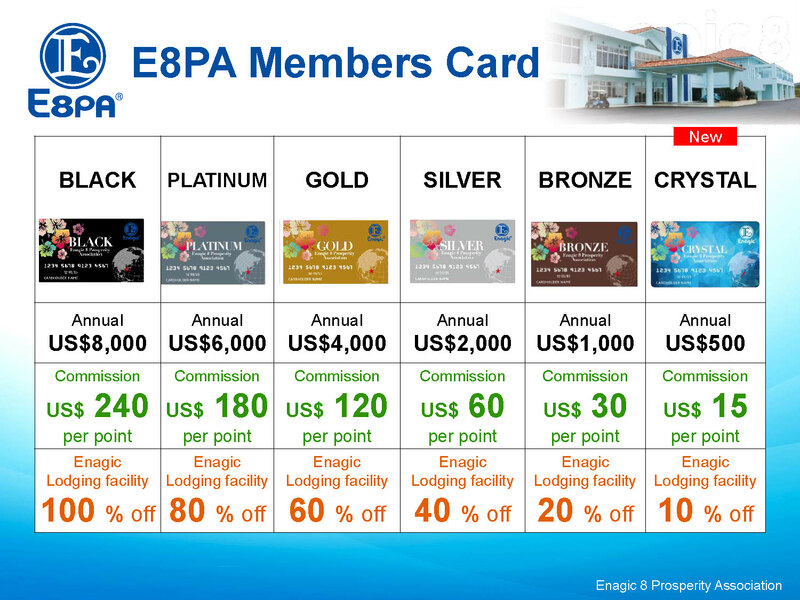 Stay at an Enagic Guest House - 100% off regular fees. 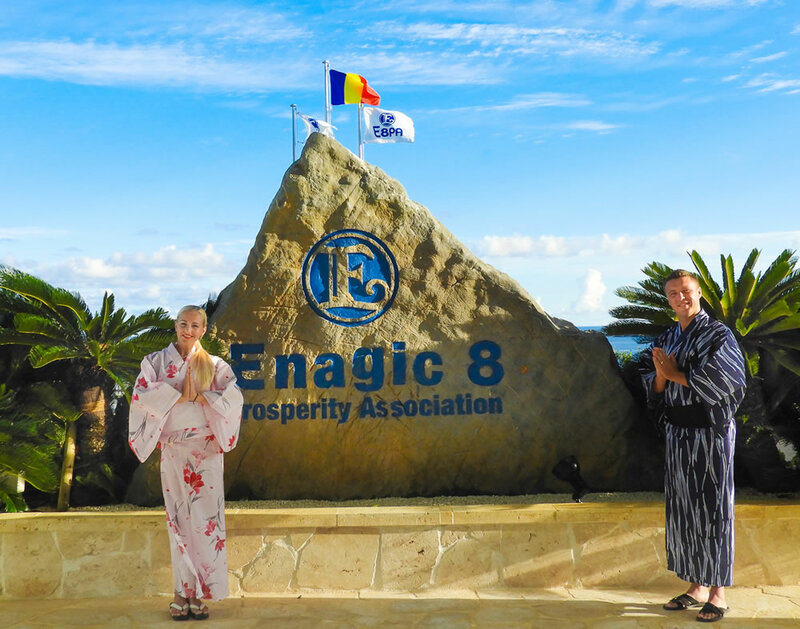 Stay at an Enagic Guest House - 80% off regular fees. 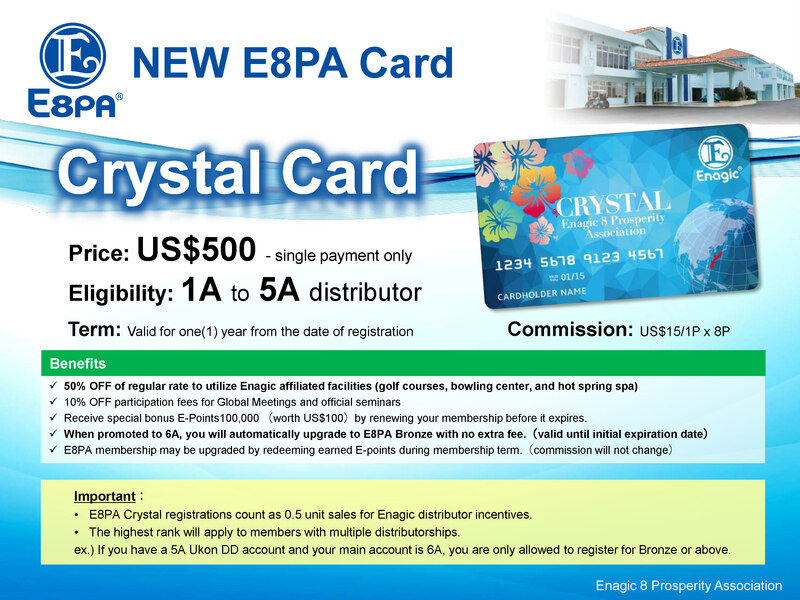 Stay at an Enagic Guest House - 60% off regular fees. 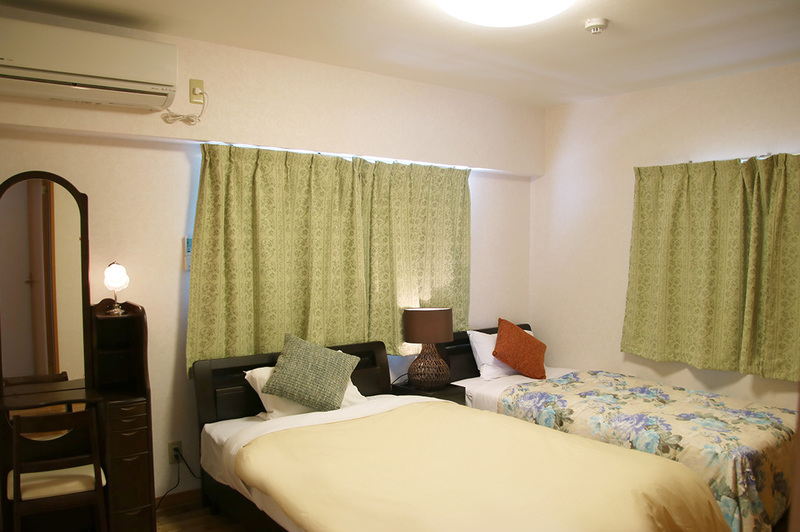 Stay at an Enagic Guest House - 40% off regular fees. 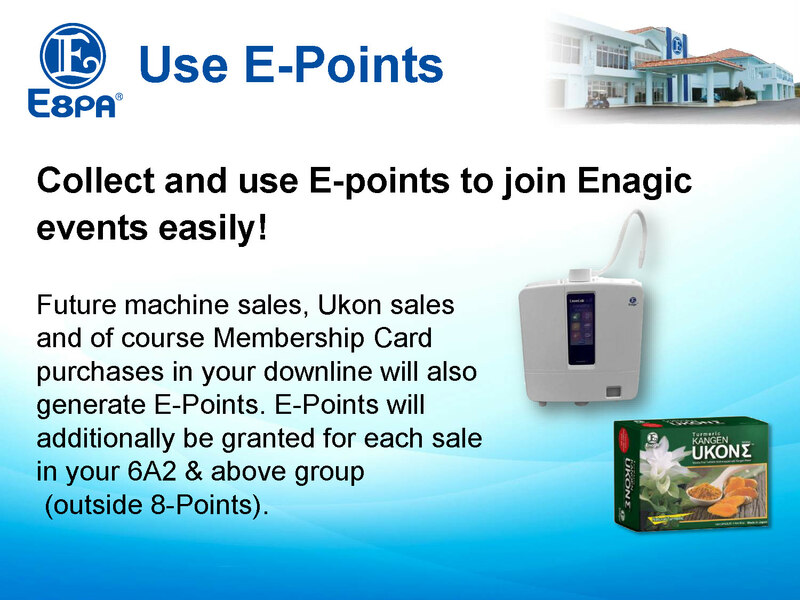 Stay at an Enagic Guest House - 20% off regular fees. 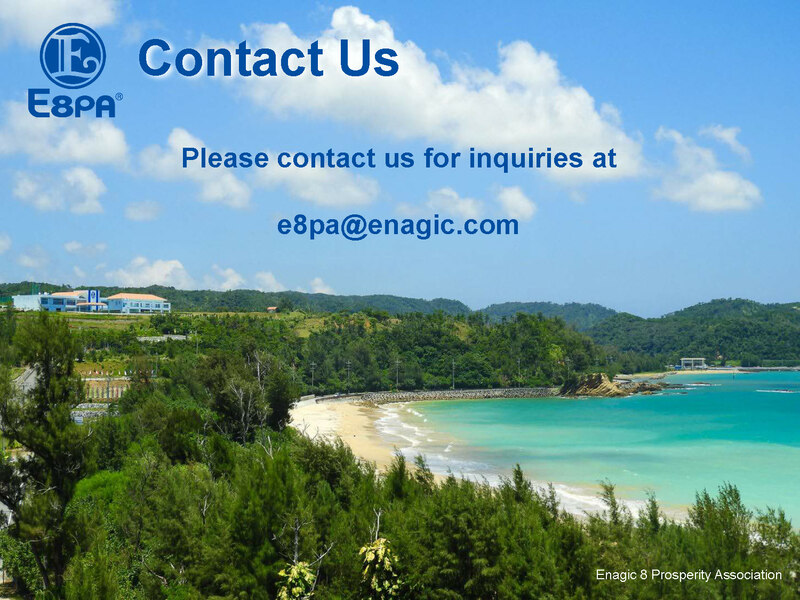 Stay at an Enagic Guest House - 10% off regular fees. 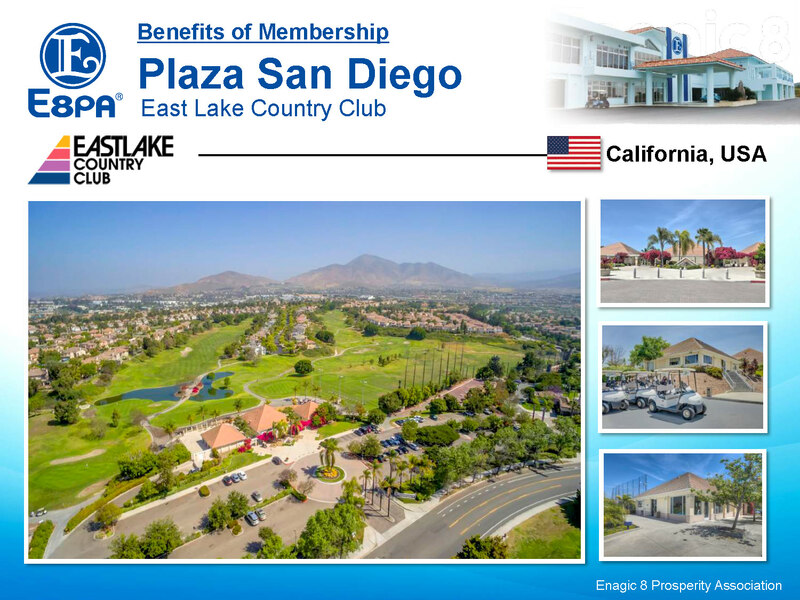 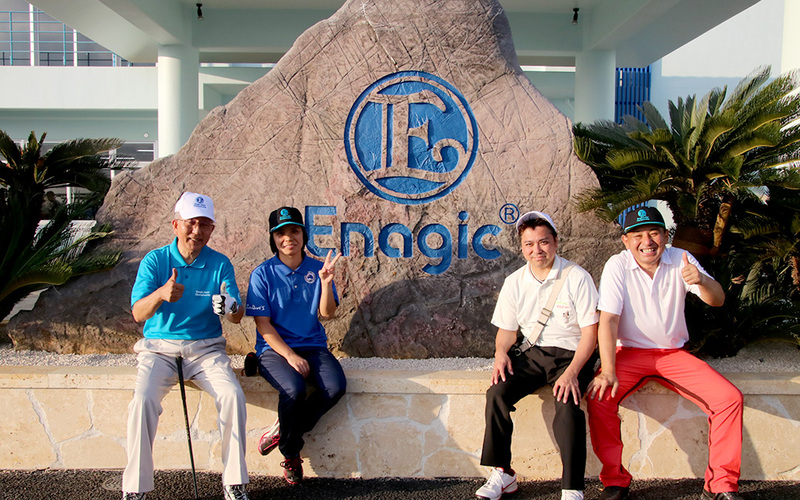 Enjoy golfing, bowling and our Enagic Hot Spring - 50% OFF off regular fees. 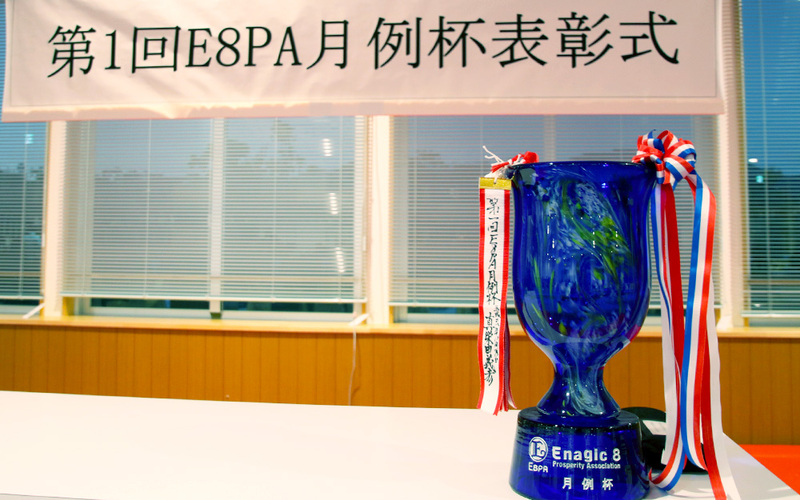 E8PA members who recently visit the E8PA facility. 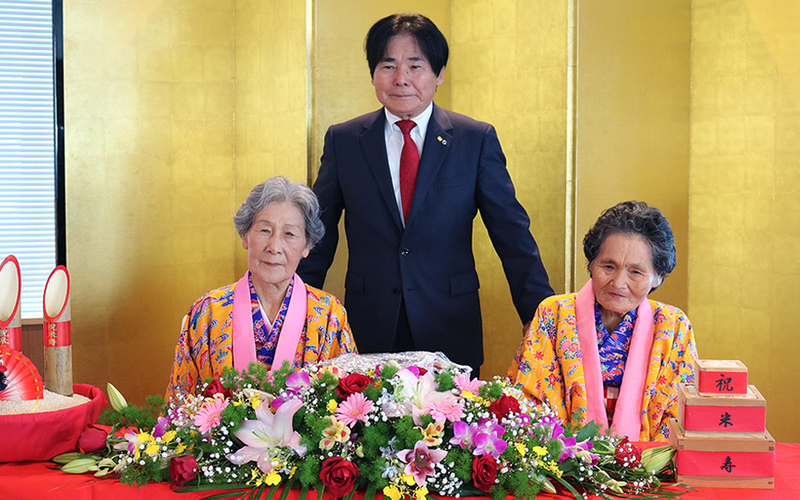 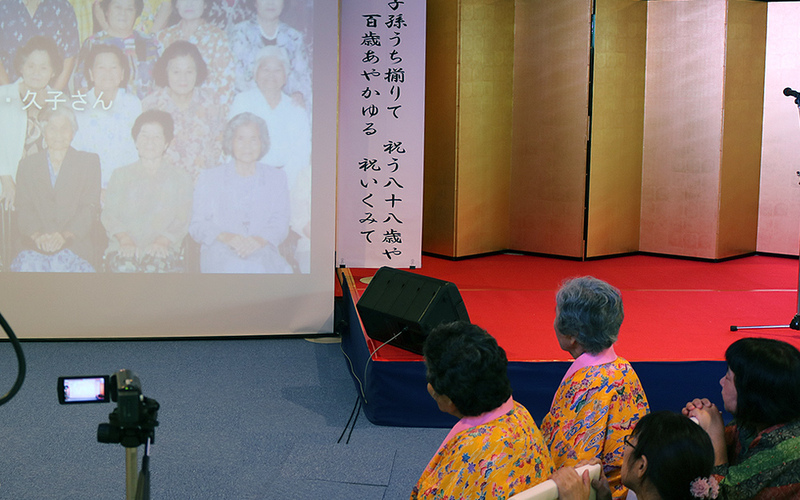 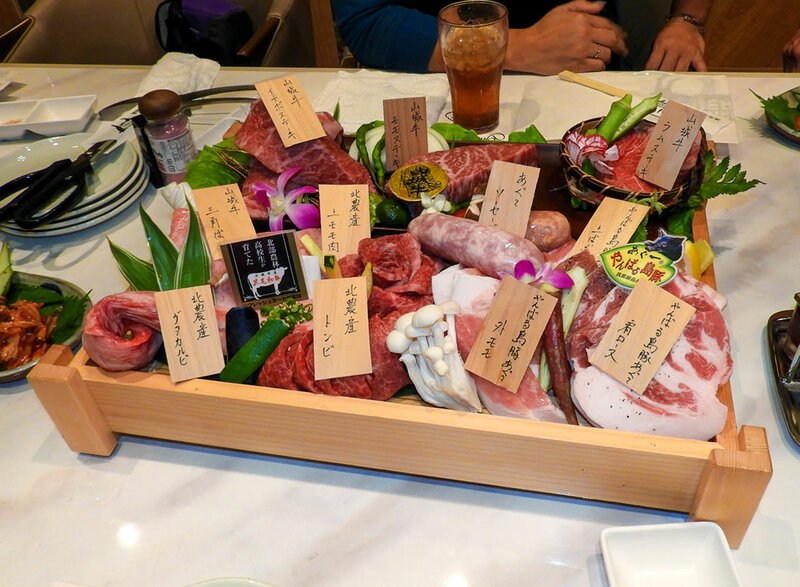 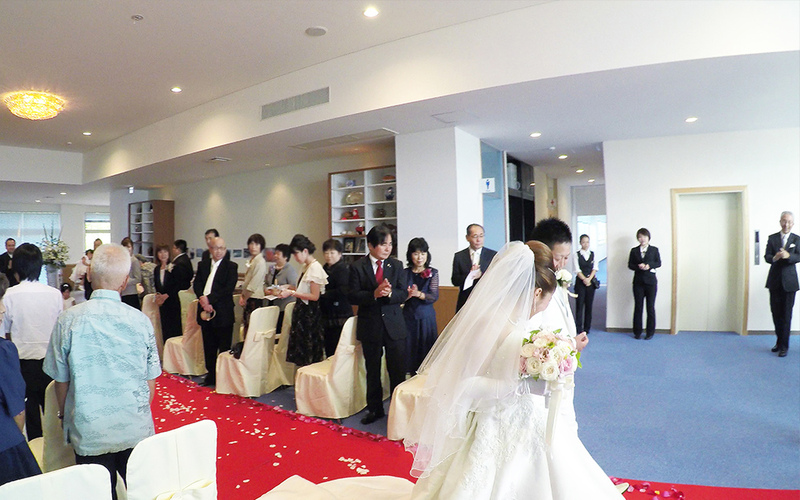 88th anniversary birthday of Mr. Ohshiro’s sister. 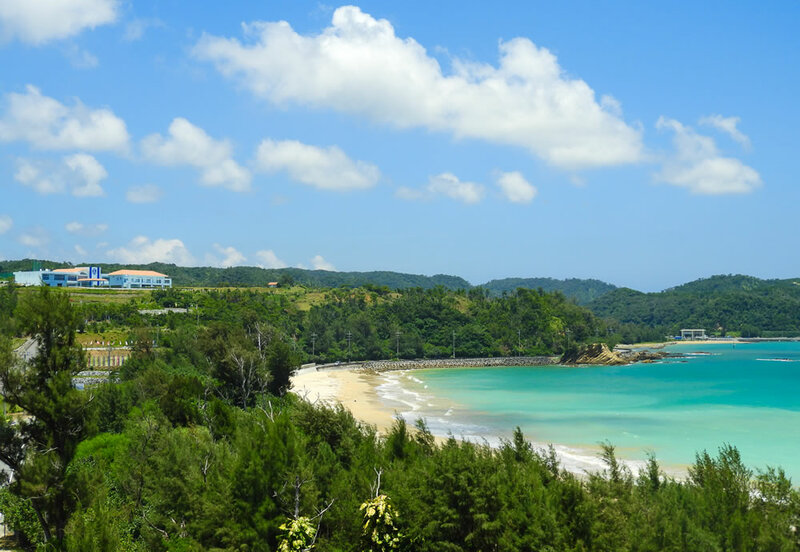 Where Pacific waves wash onto the OuraBay from a distance, E8PA Resort & Training Center is located on the hilly terrain of Yanbaru, overlooking the sea, known as the home of the dugong (mantees) . 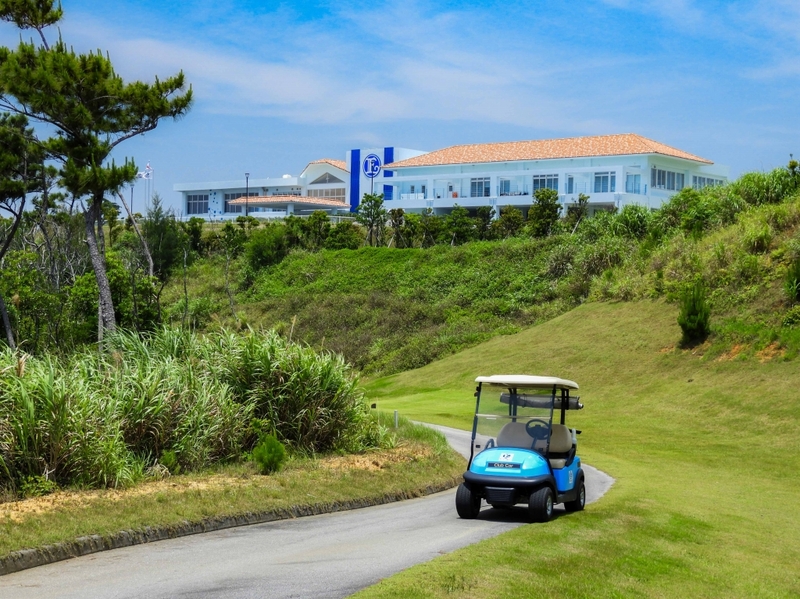 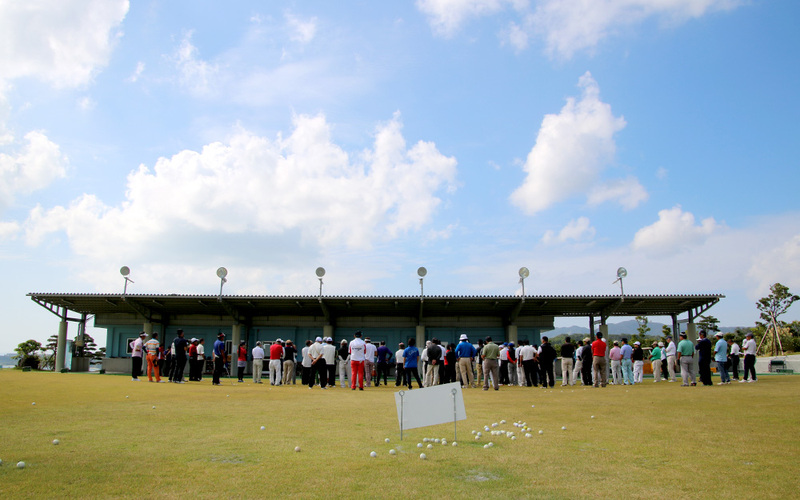 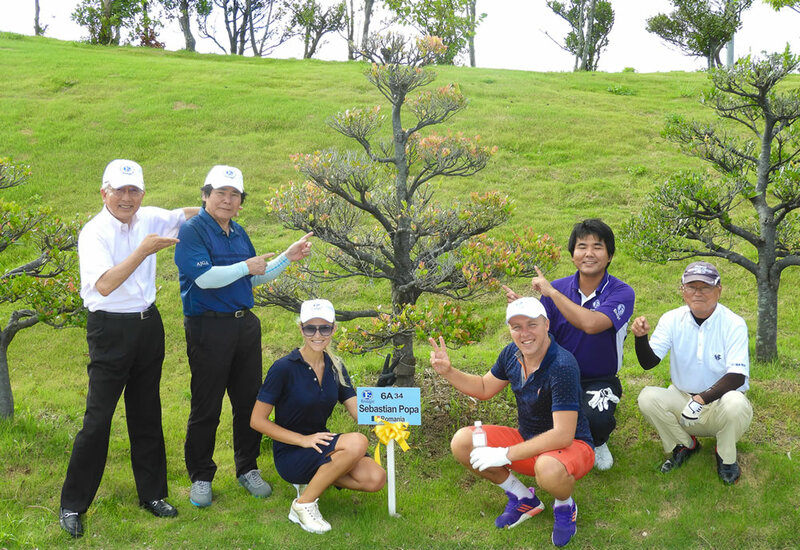 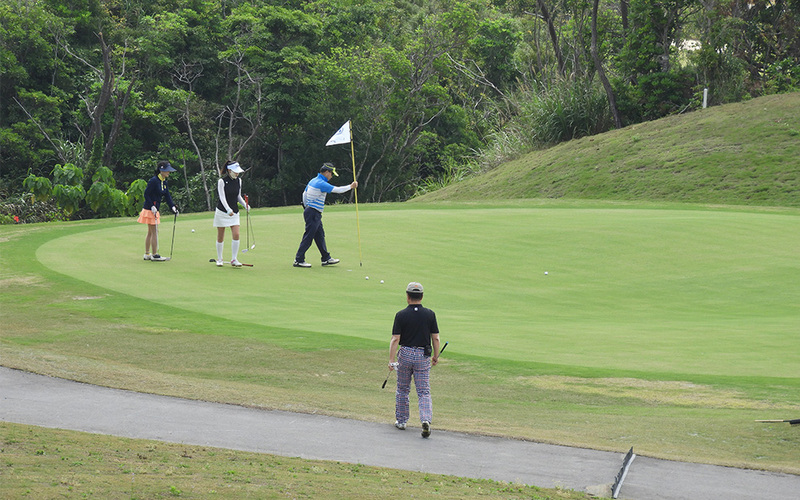 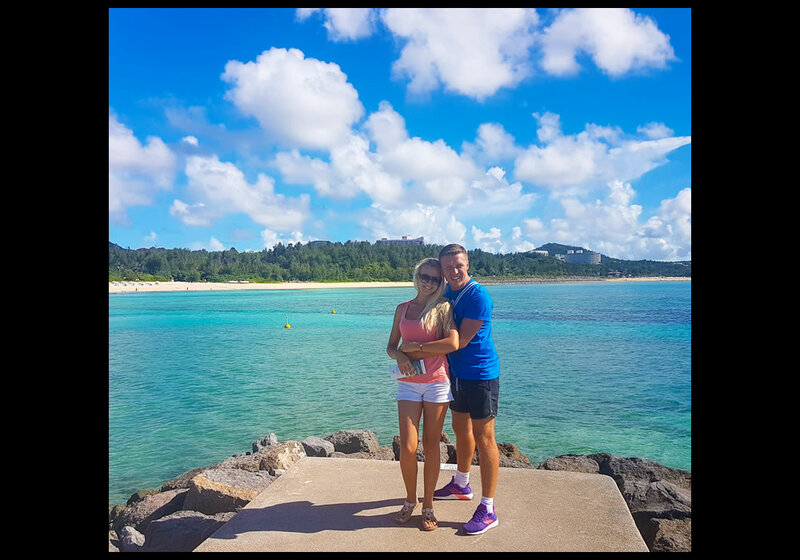 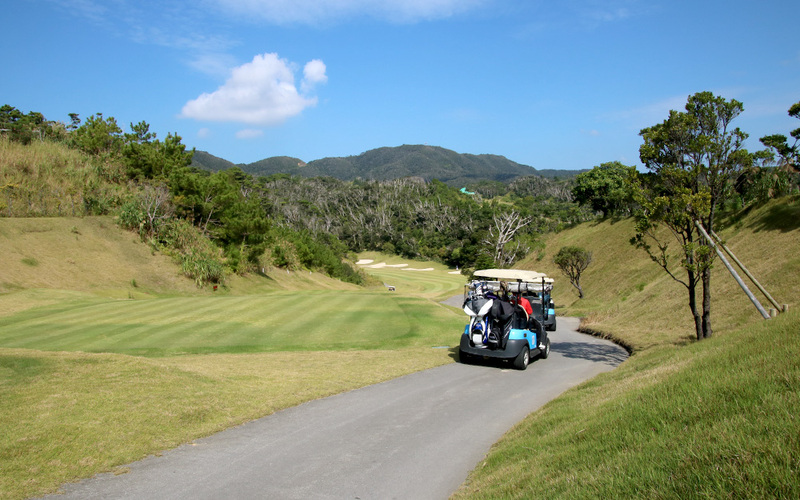 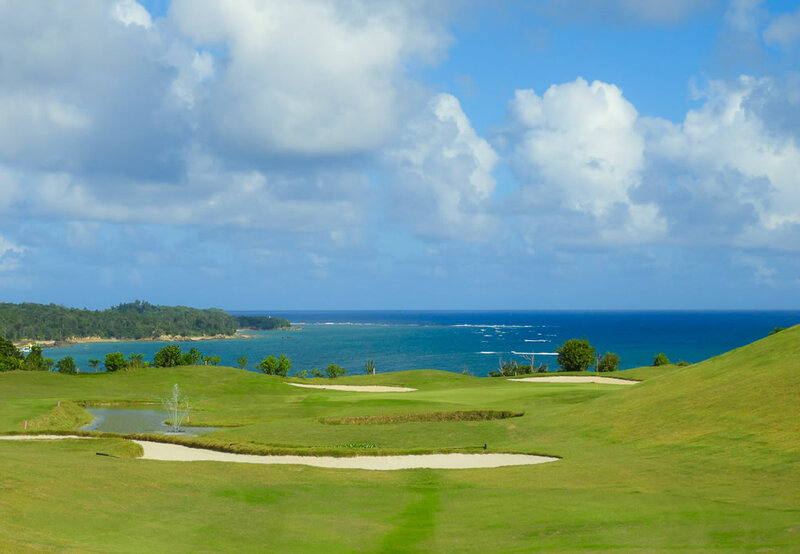 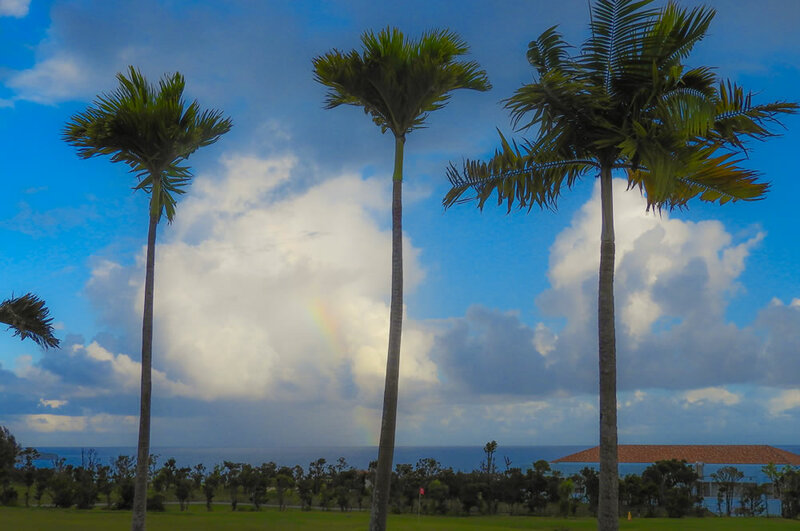 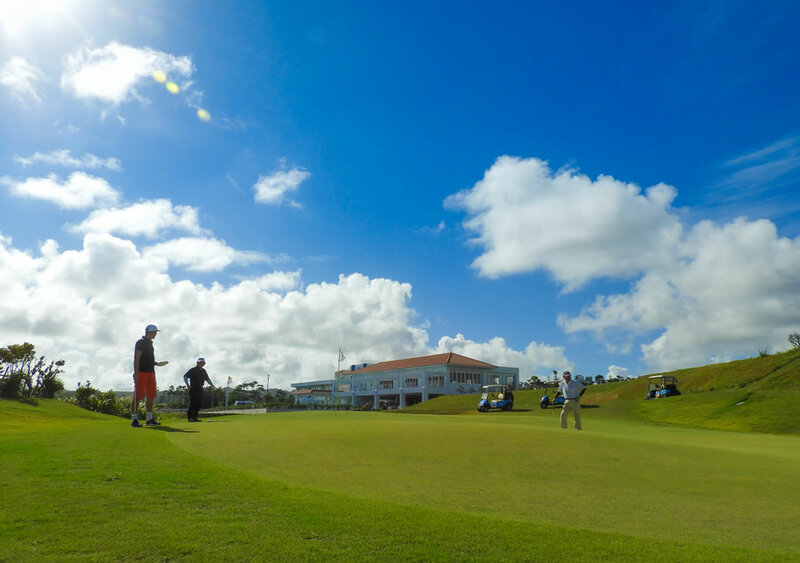 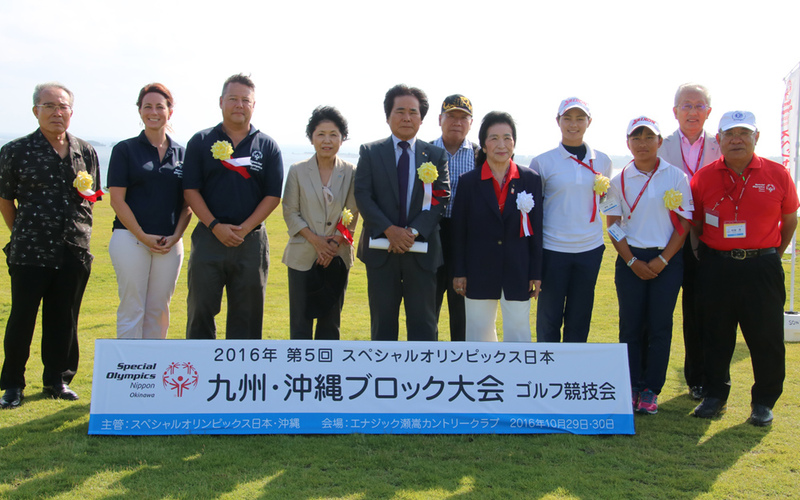 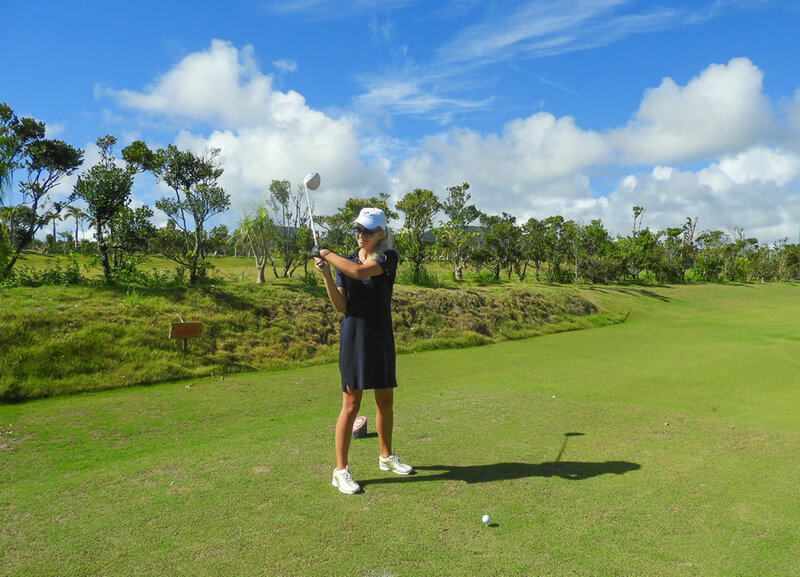 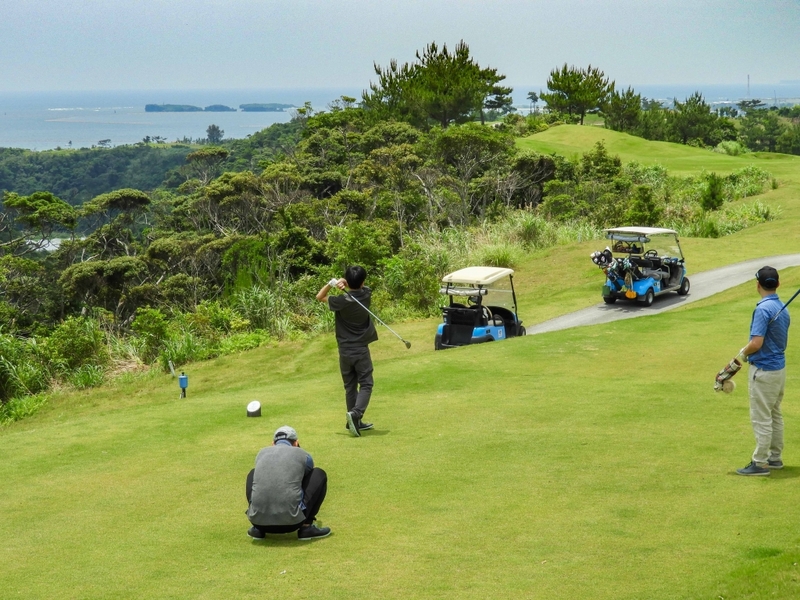 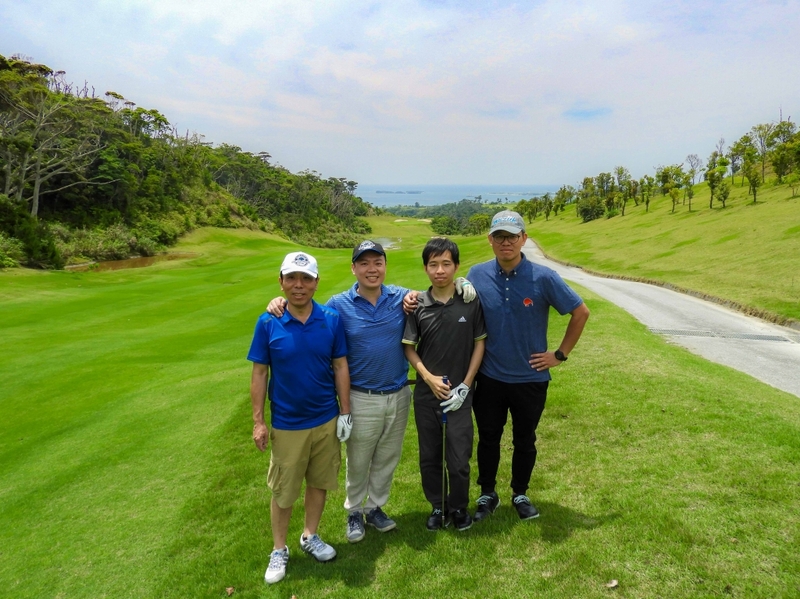 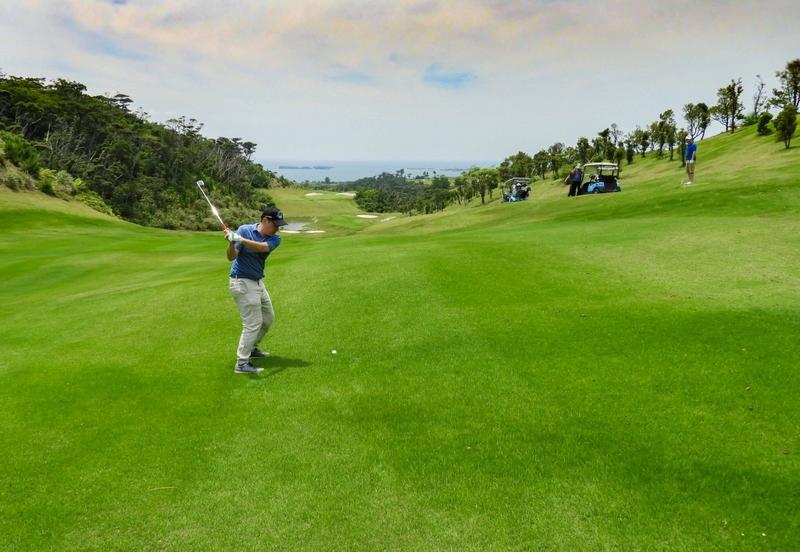 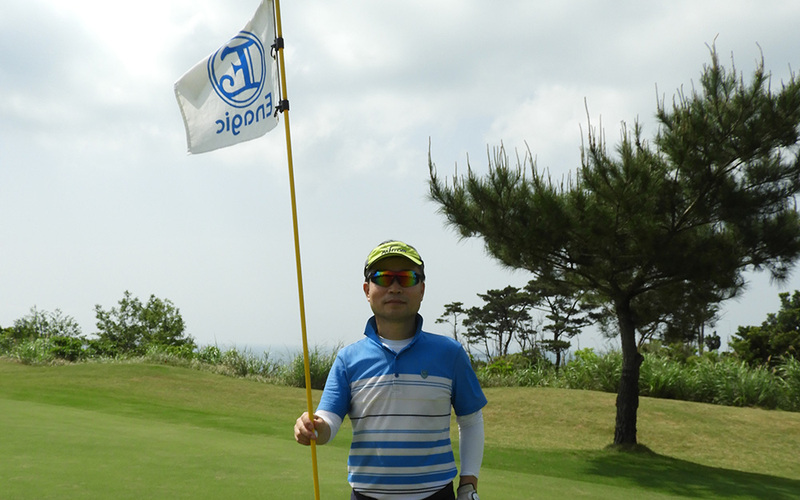 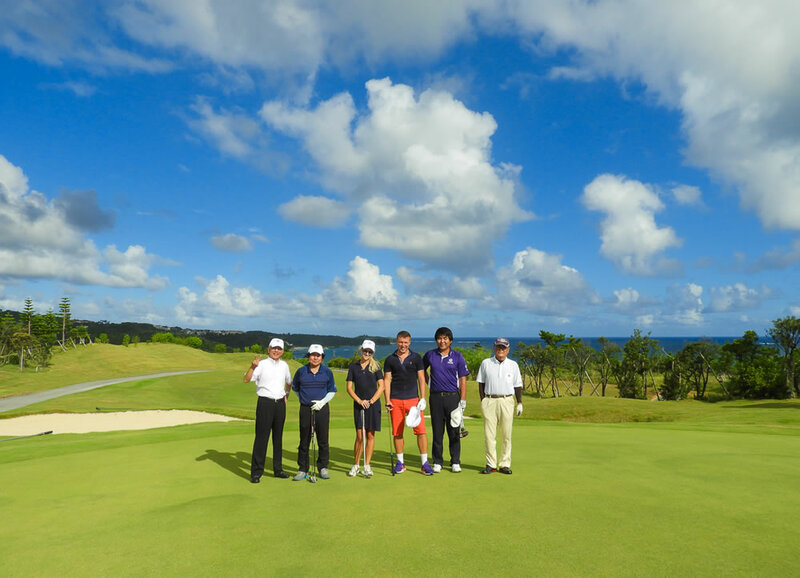 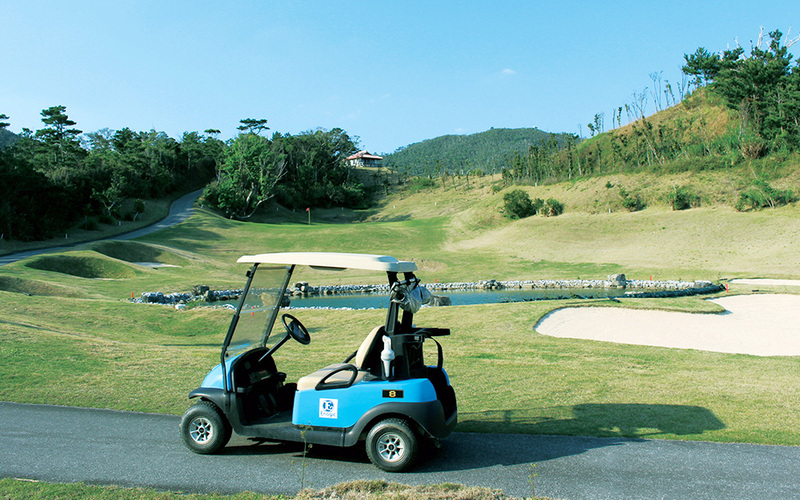 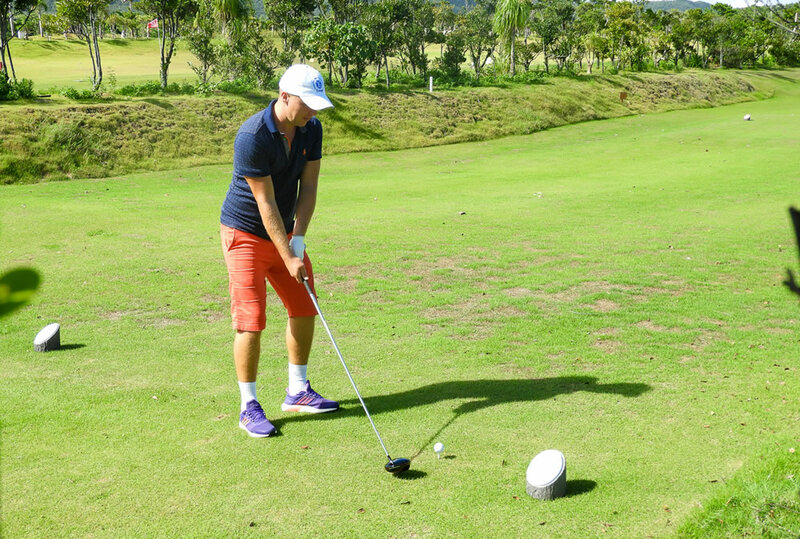 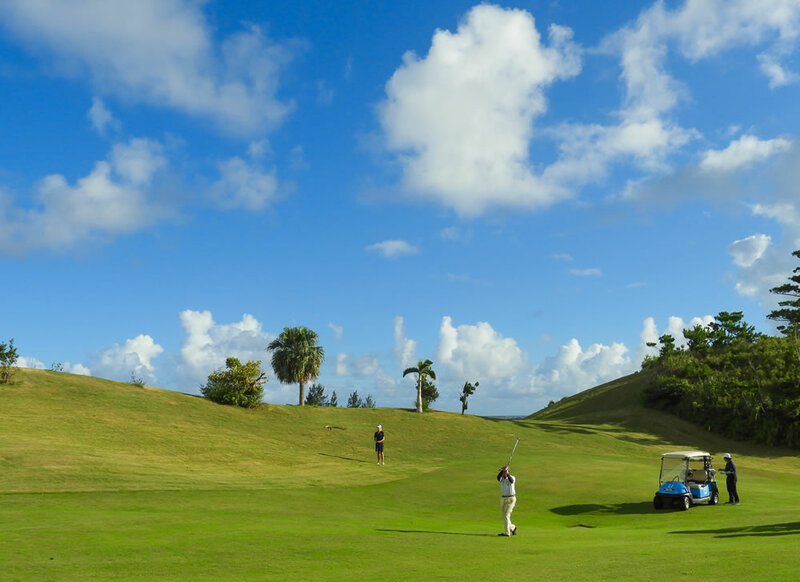 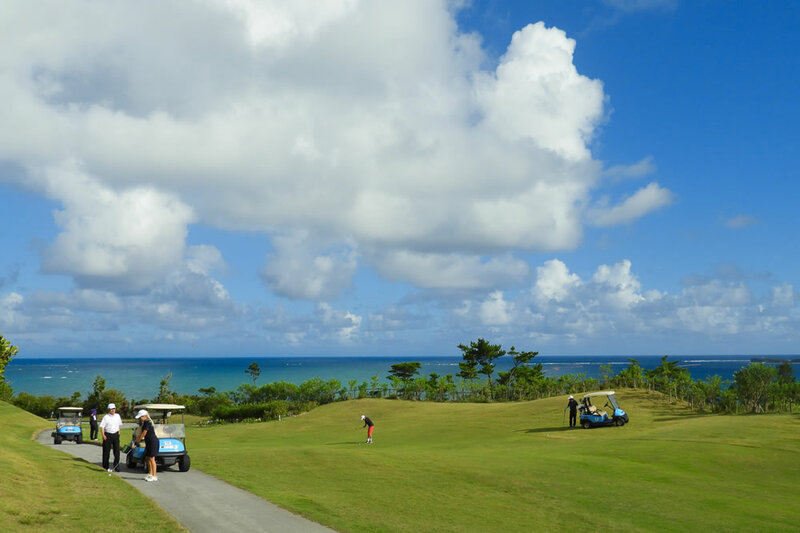 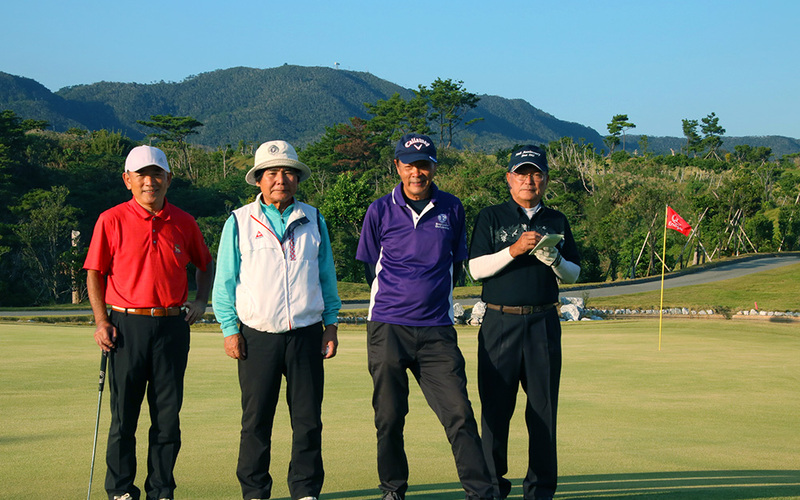 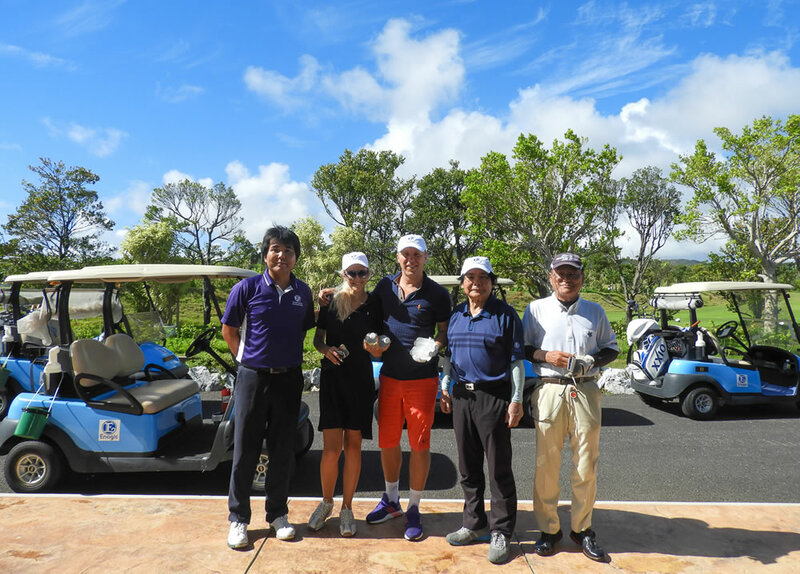 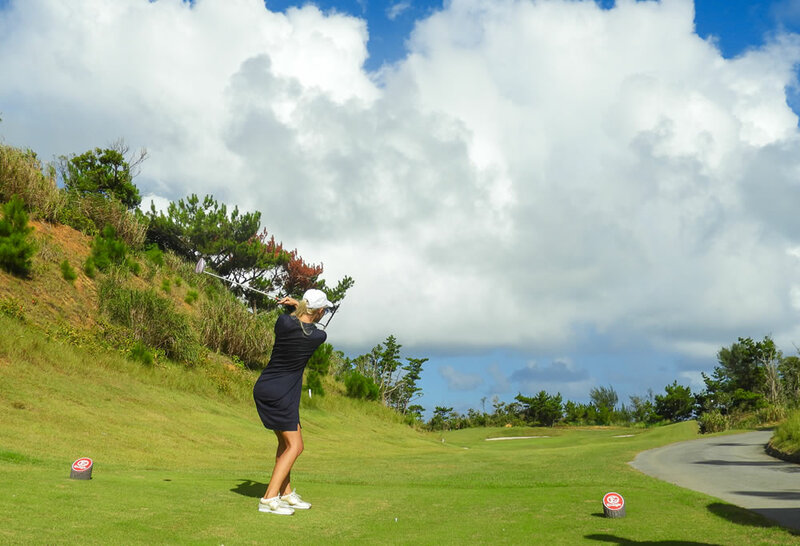 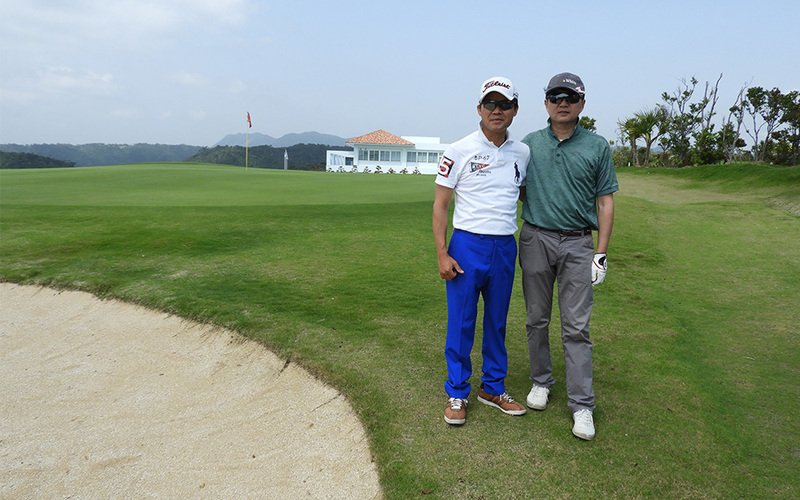 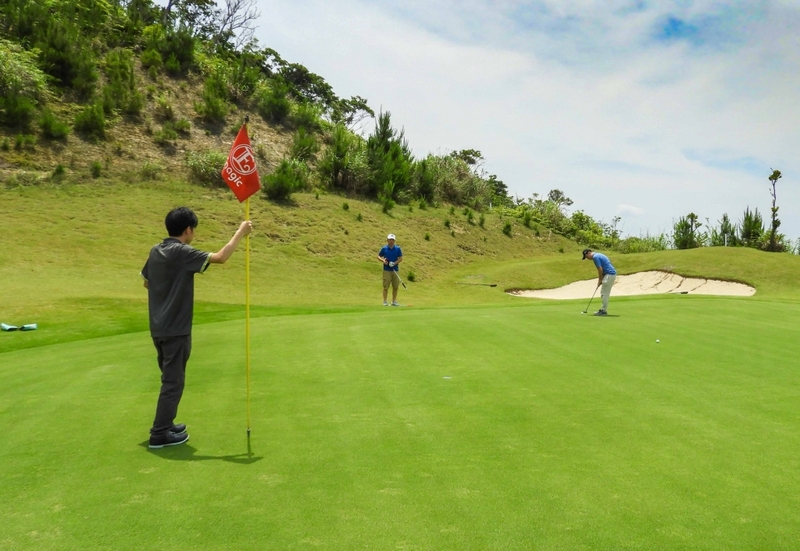 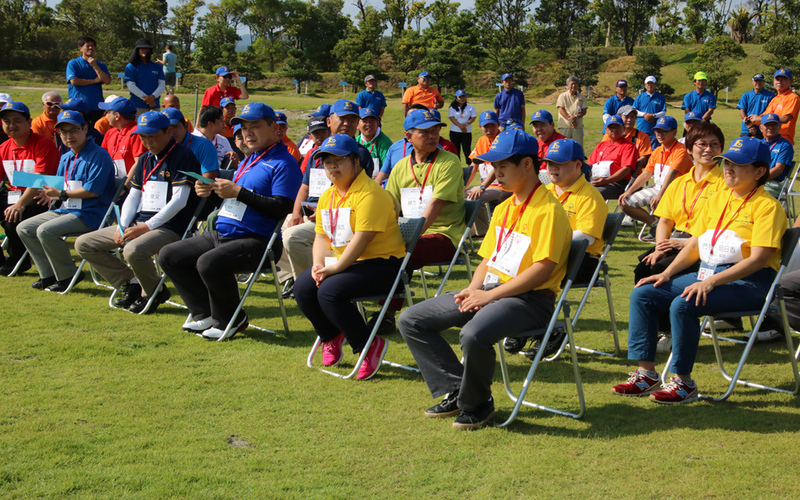 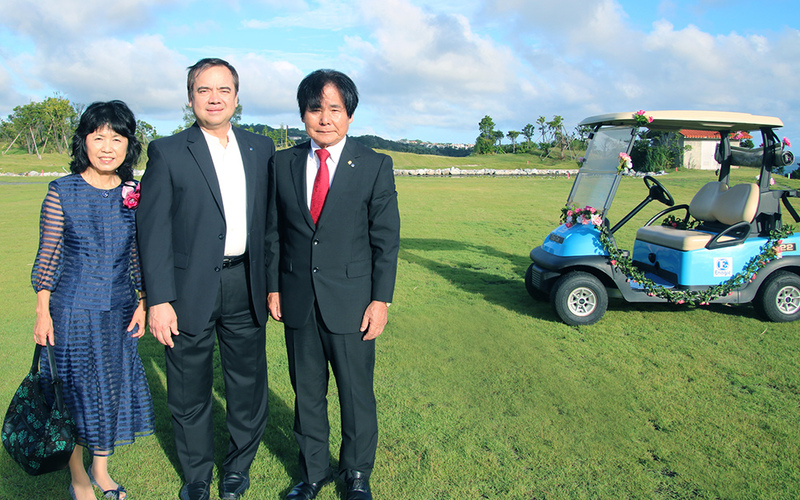 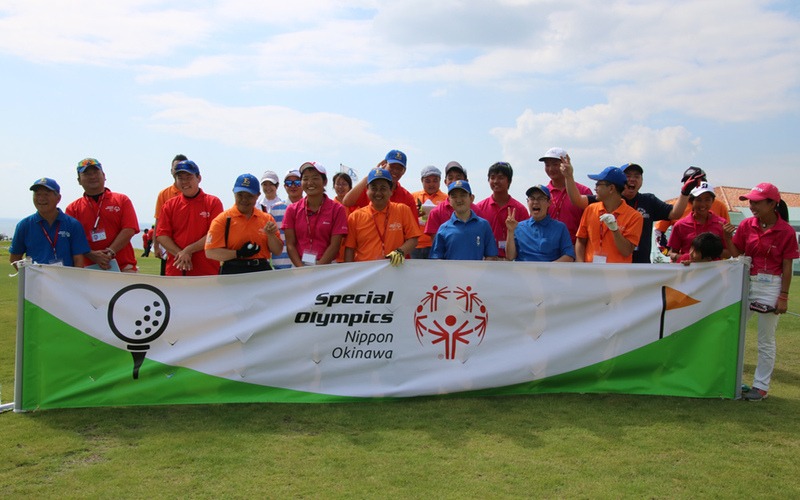 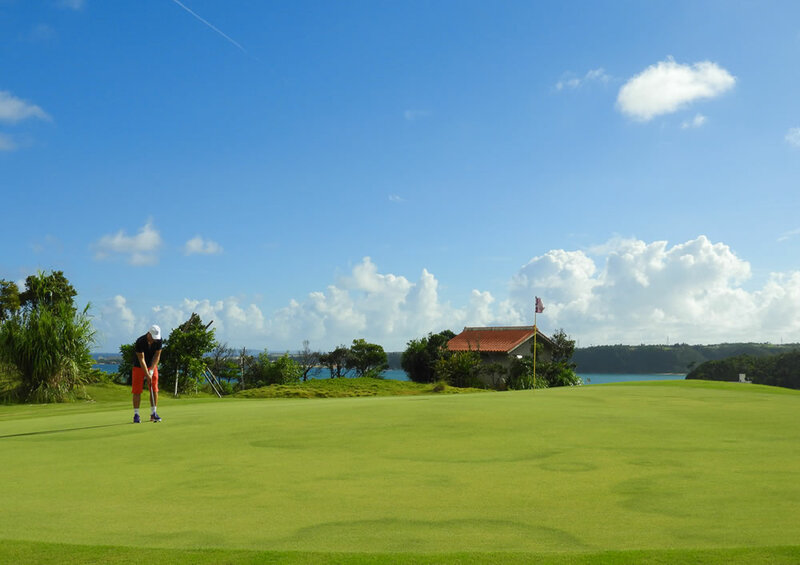 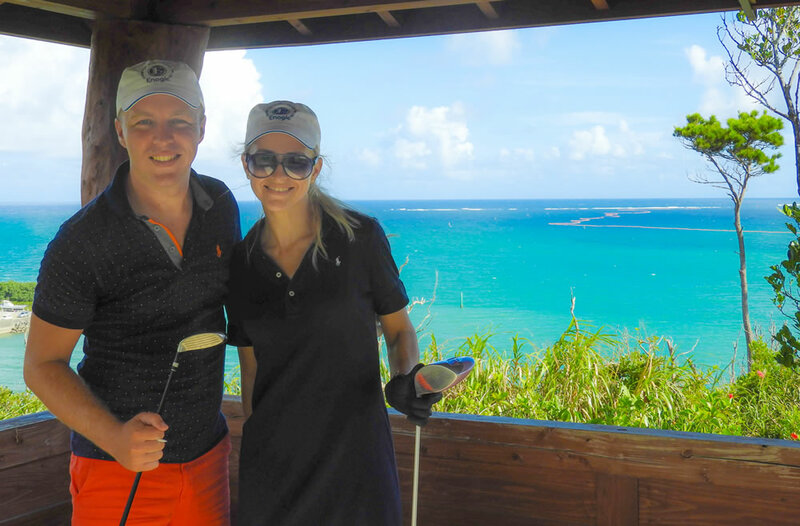 Enjoy your first round basking in Okinawa's natural environment! 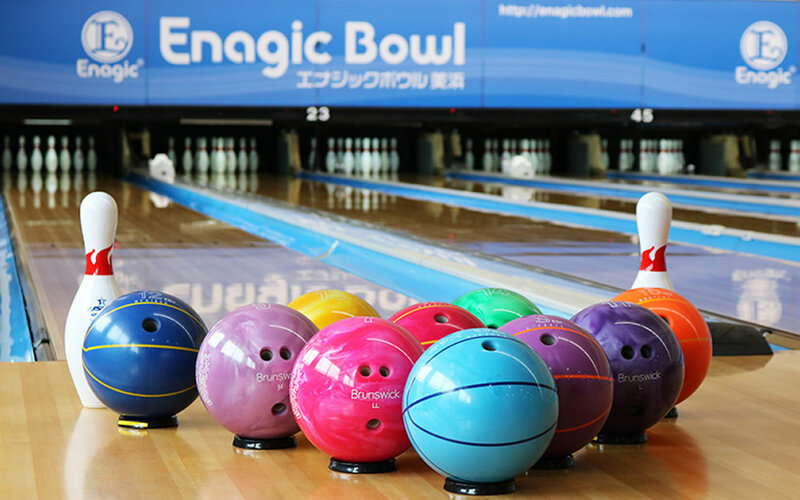 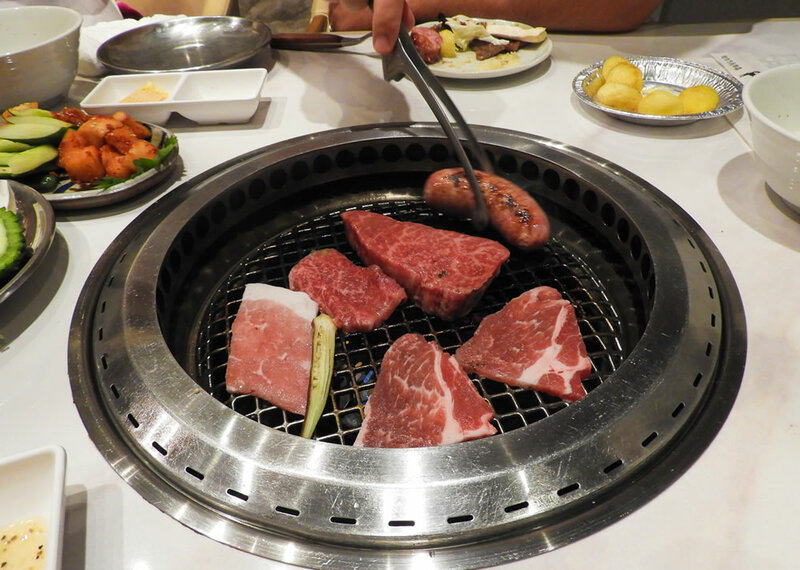 Enagic Bowl, located in Chatan, has 36 lanes, 200 lockers, and offers a variety bowling goods! 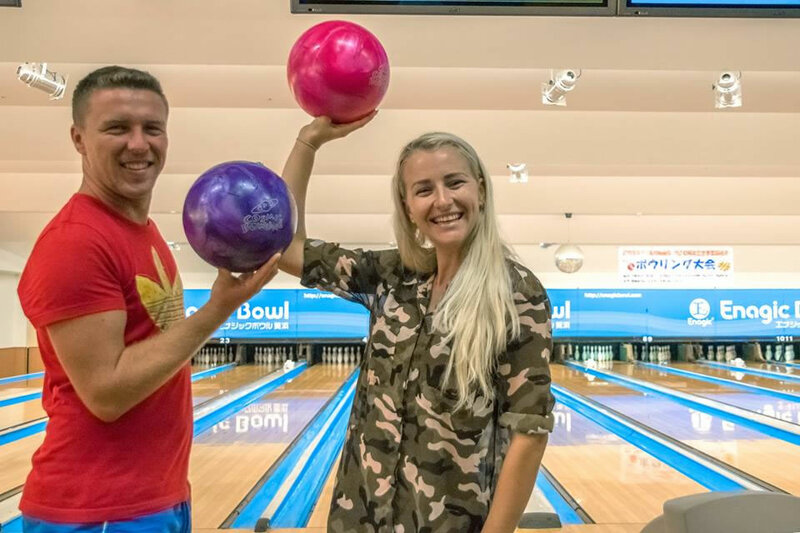 For kids, we have light-sized (5lbs) balls and lane bumpers available in all of our lanes; and cute chameleon slopes which offer throwing support for the little ones. 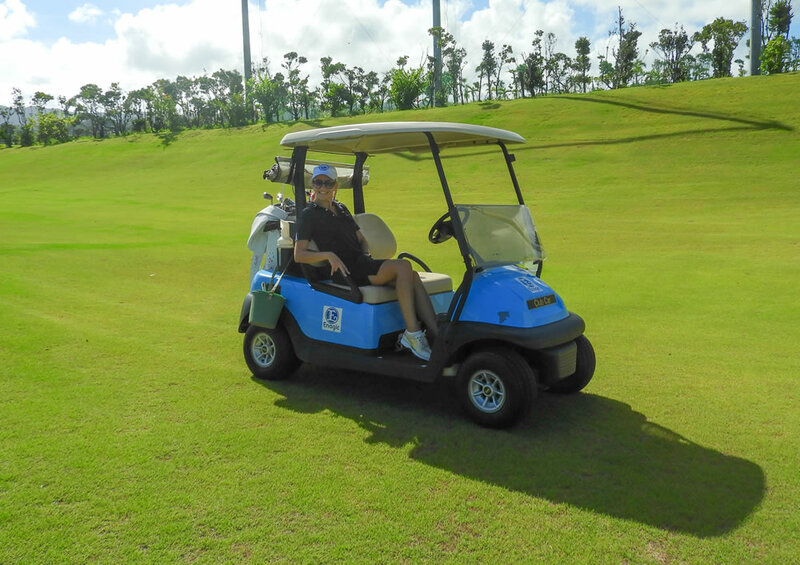 Our facility is equipped with QUBICA AMF`s HPL Synthetic Lane System with auto score recording and 300 action graphic animations to add to the fun! 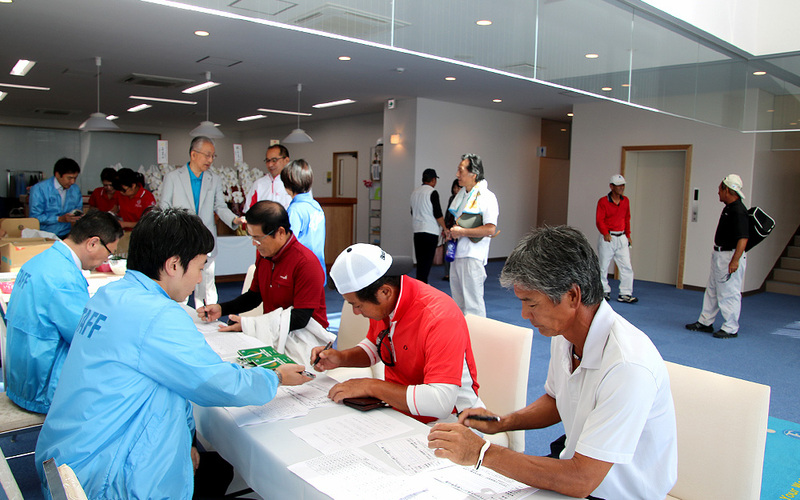 Take advantage of our meeting room for tournament award ceremonies and other private events. 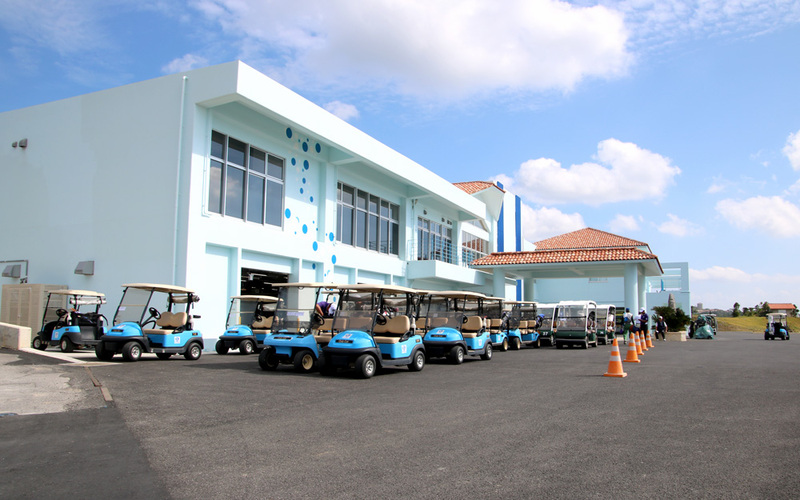 There is also a food court for snacks and drinks to satisfy your stomach and Free Wi-Fi service for your enjoyment. 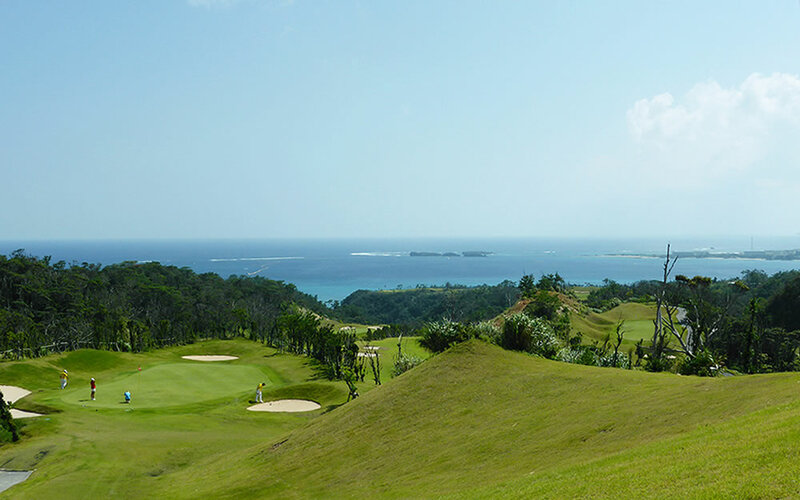 A natural hot spring spa and open-air bath with an authentic Japanese garden located in Ginowan, Okinawa. 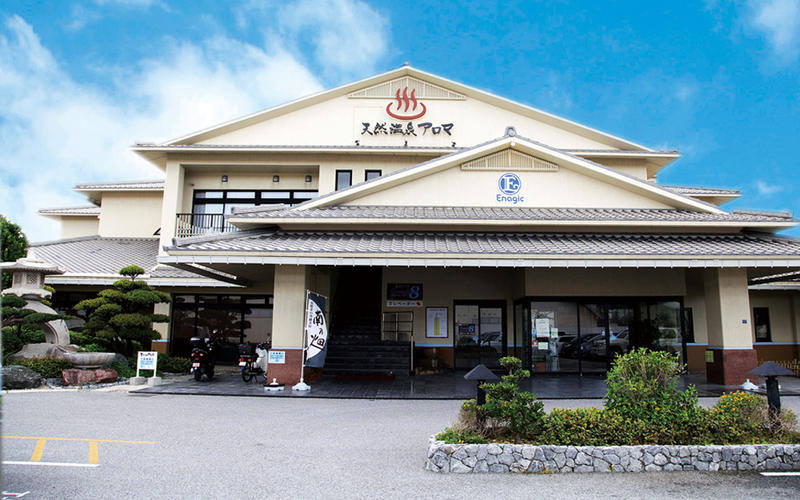 The spa consists of high-quality water welled from 1300m under sea level. 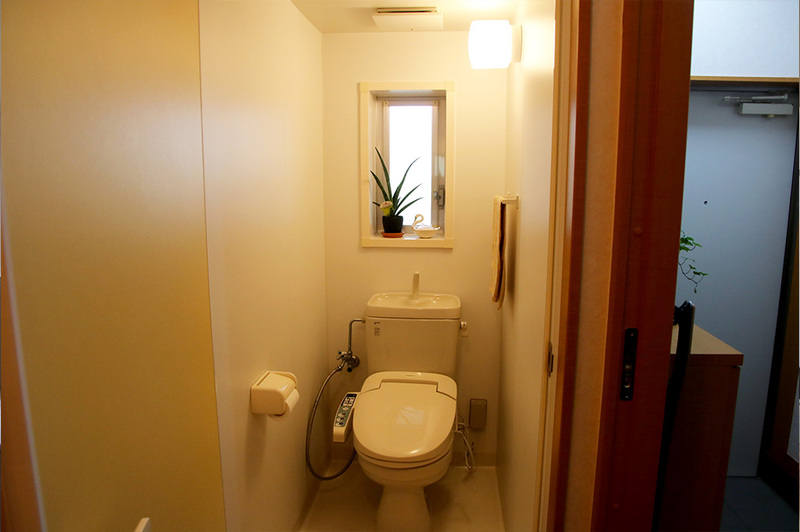 Come experience our various baths to rejuvenate your body and soul! 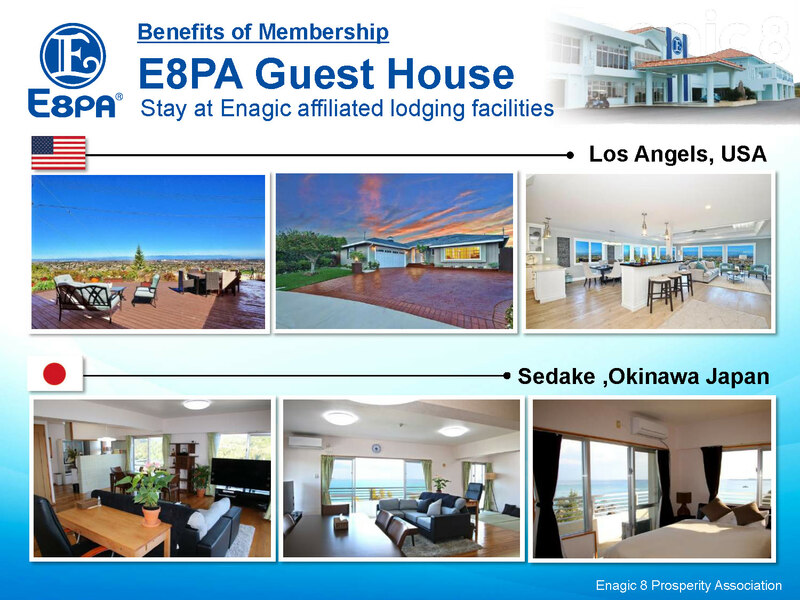 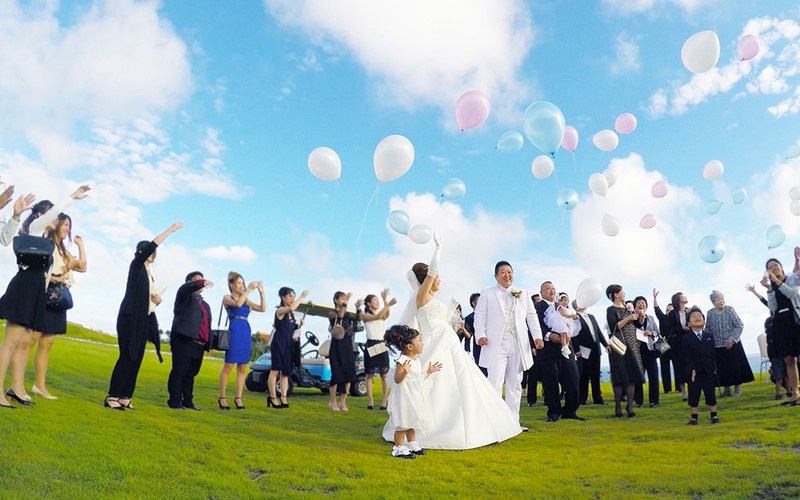 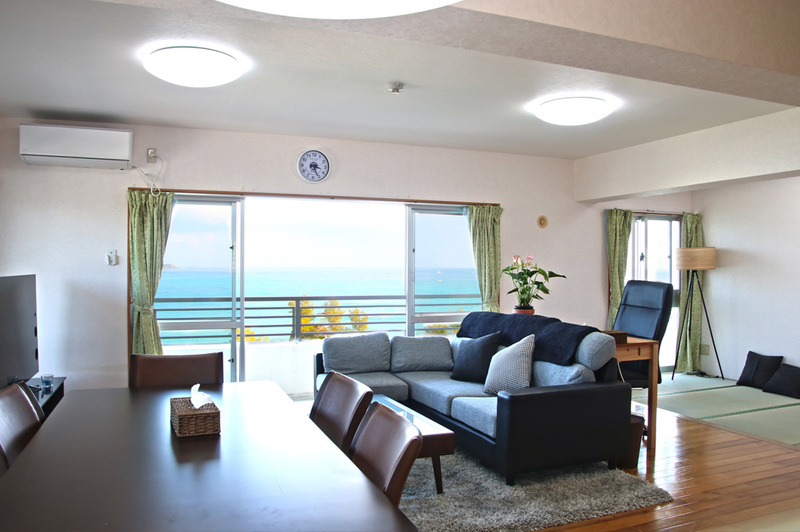 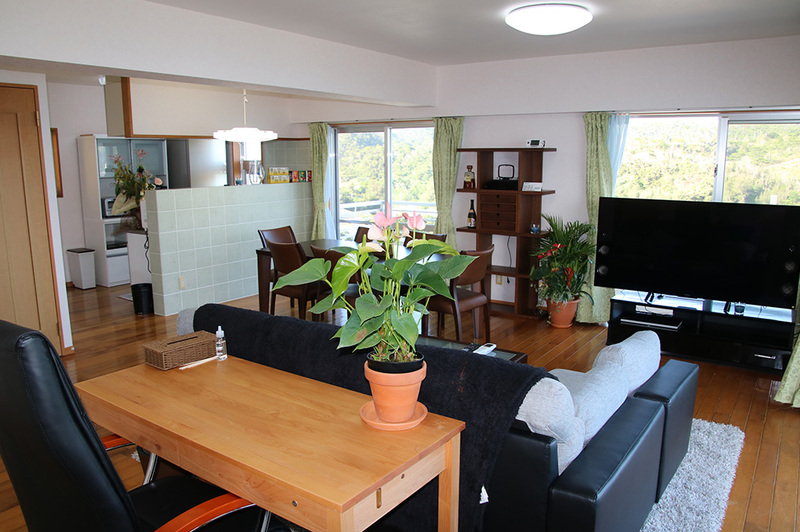 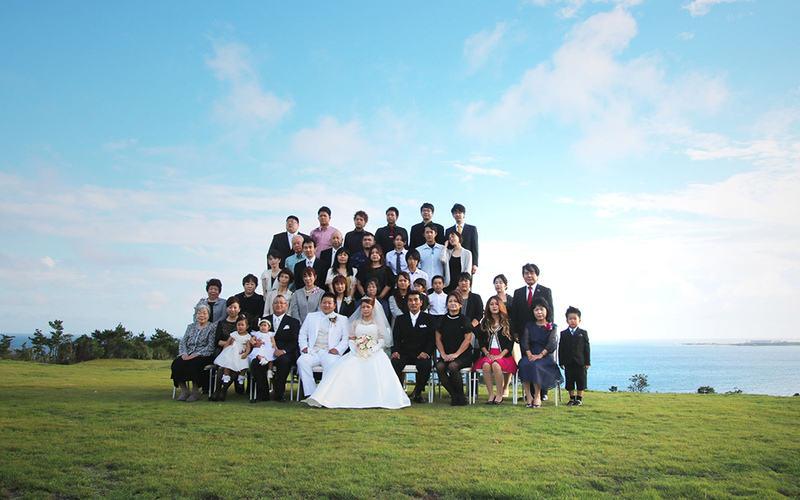 Facing Okinawa’s beautiful blue sea, is E8PA’s Enagic Guesthouse, which offers an Ocean View from every room! 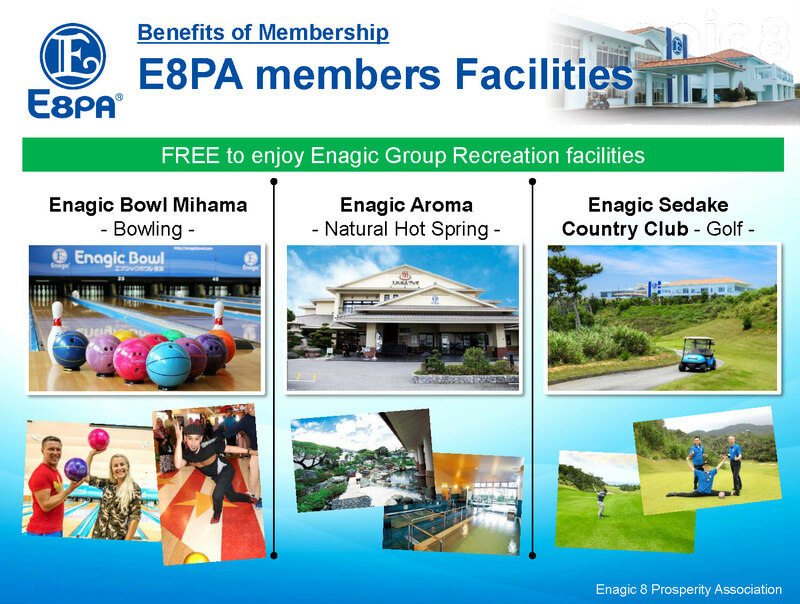 This facility is located near our Sedake Country Club and is open to all E8PA cardholders for you to relax and rejuvenate. 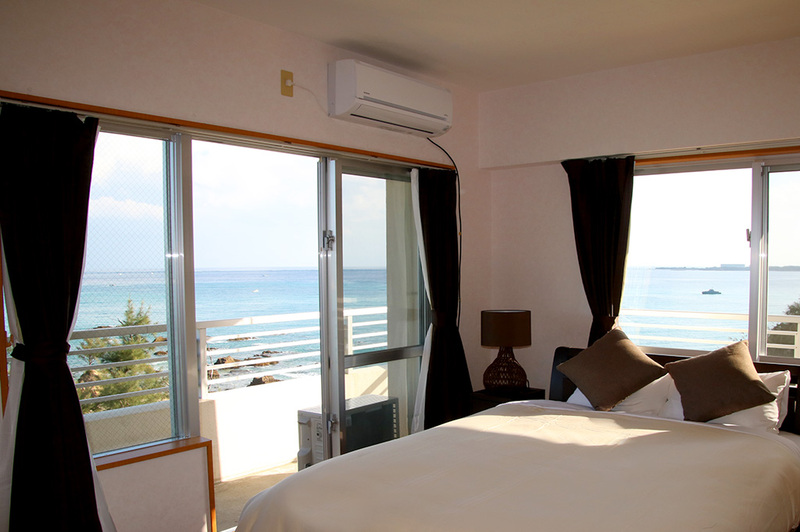 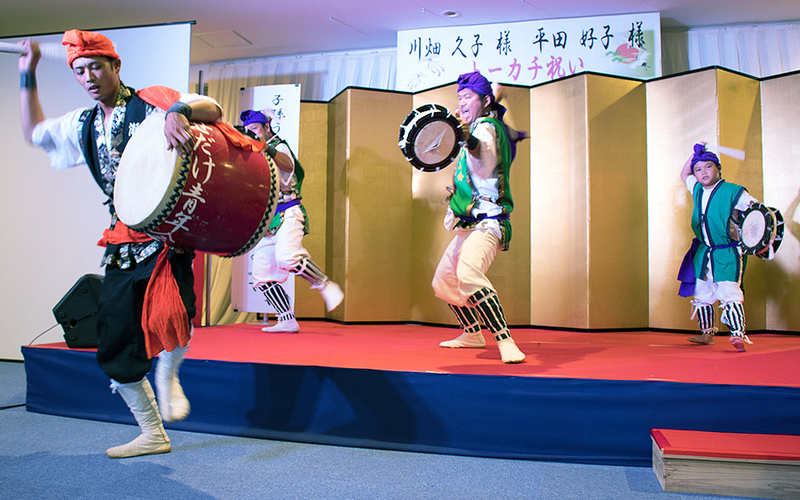 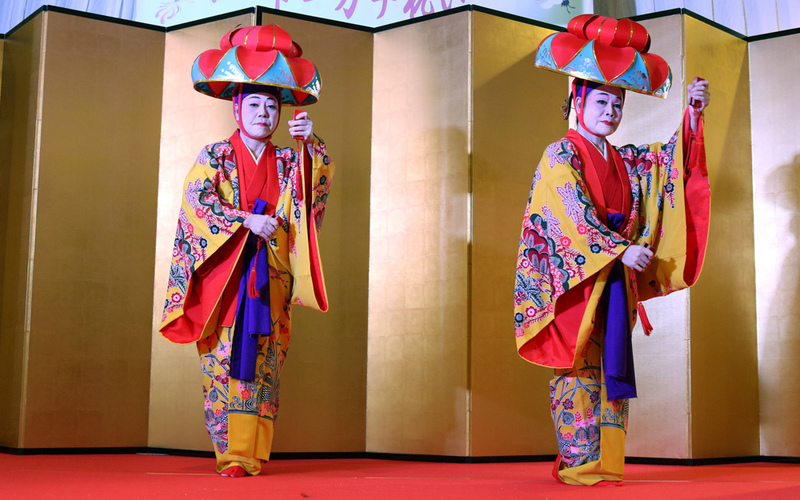 Come surround yourself with the splashing sounds of the ocean, where even the waves beat to Okinawa’s unique rhythm! 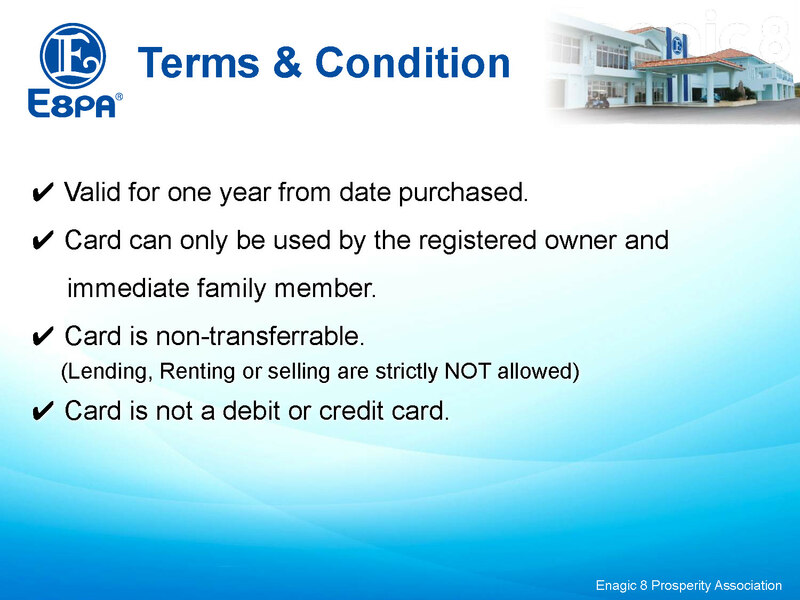 *** Please see below for more information. 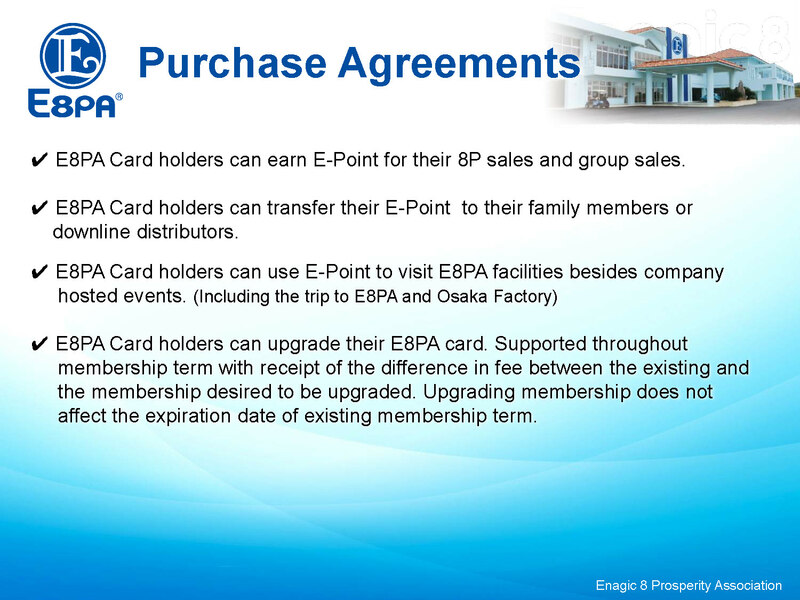 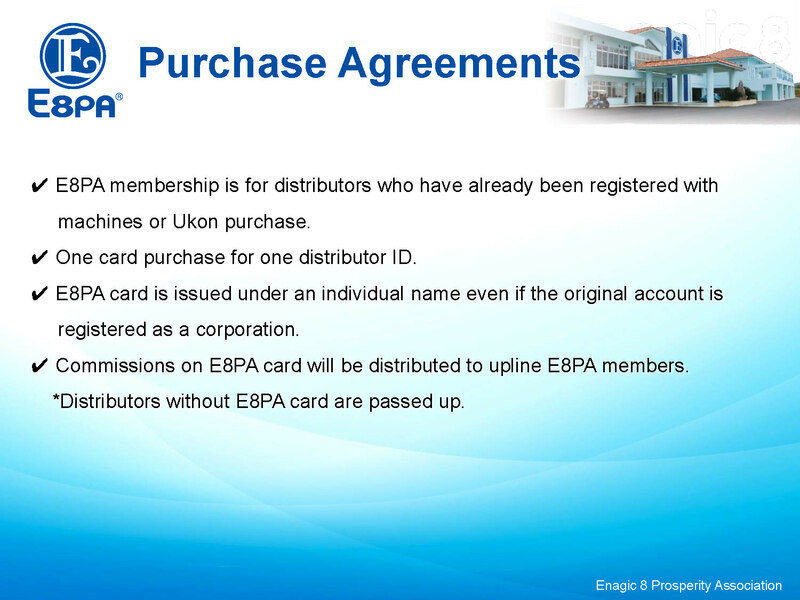 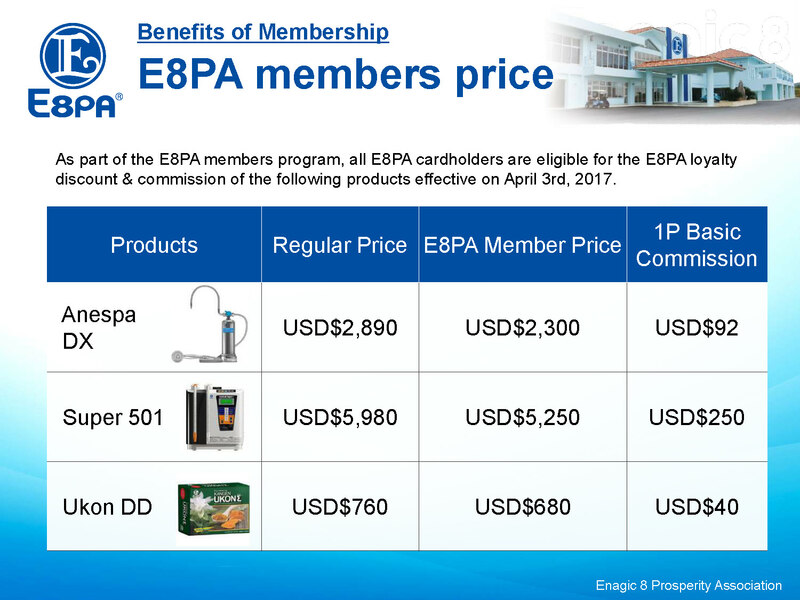 Kangen Water or Kangen Ukon account holders can earn points just by purchasing the E8PA card. 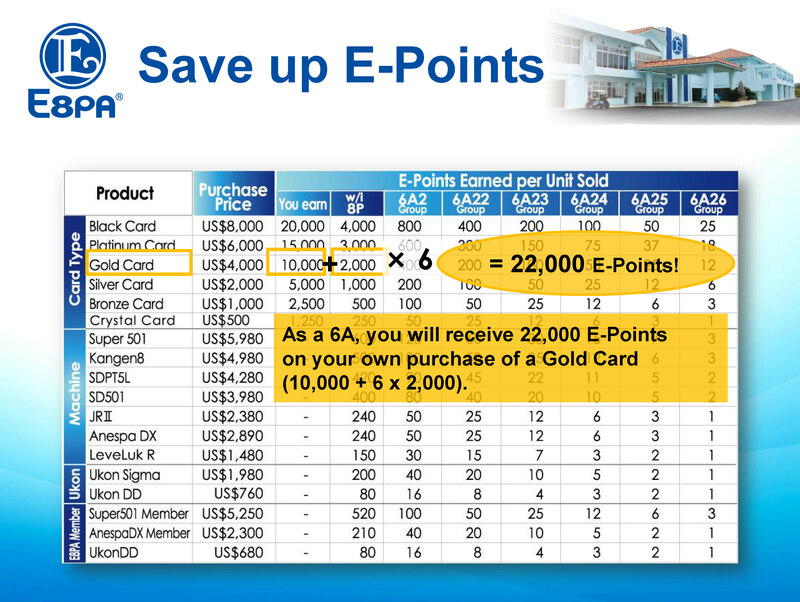 Also receive points from your down-line (within 8-points) and group (6A2 and above) sales! 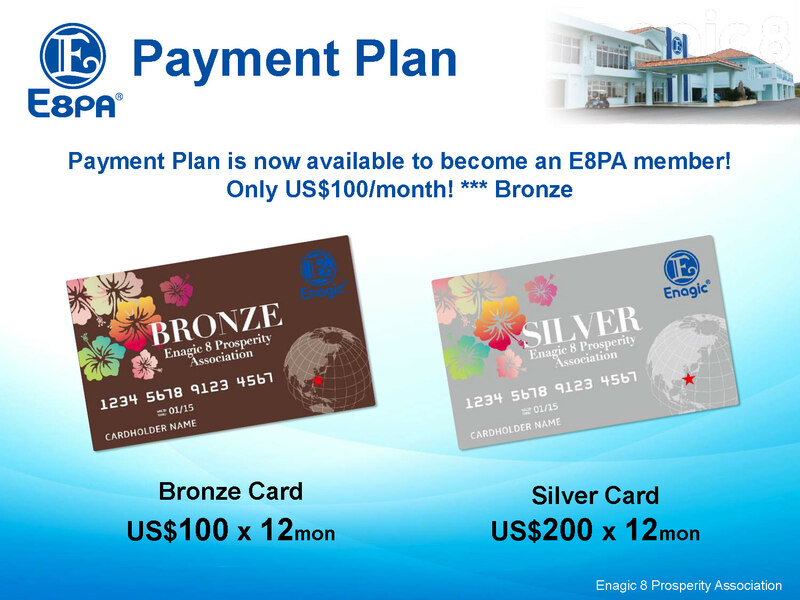 ***As part of the E8PA membership program, all E8PA cardholders will be eligible for E8PA member pricing & commission of Anespa, Super501 and Ukon products effectively on April 3rd, 2017. 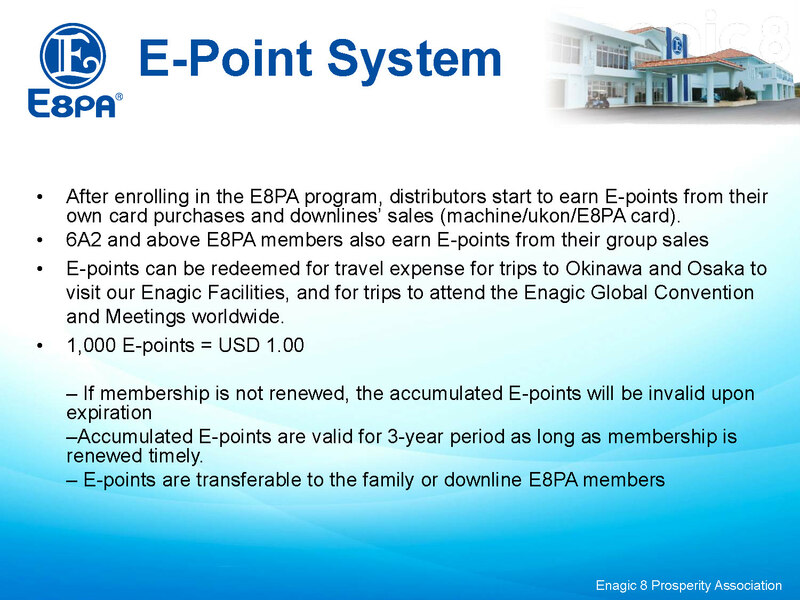 E-points can be redeemed for travel expense (transportation, lodging, meals, etc.) 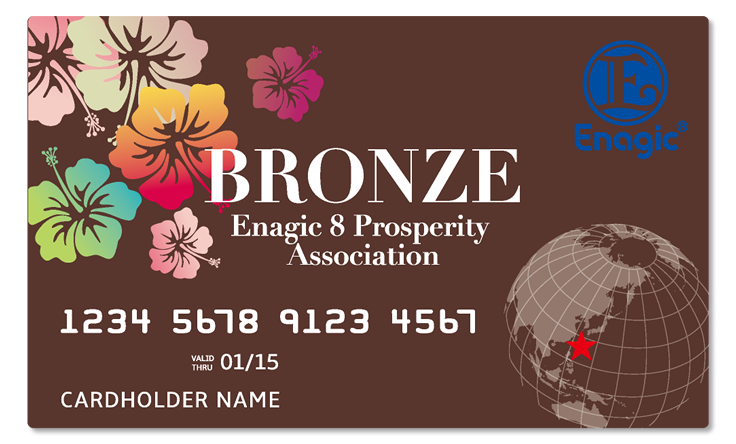 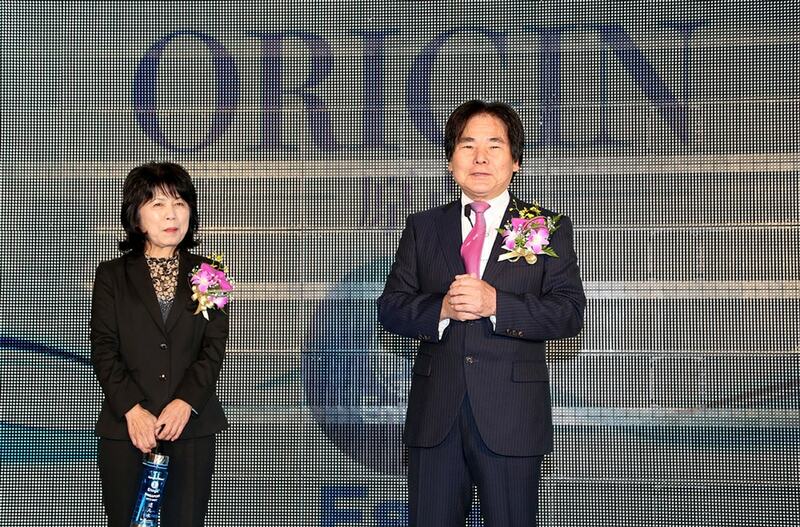 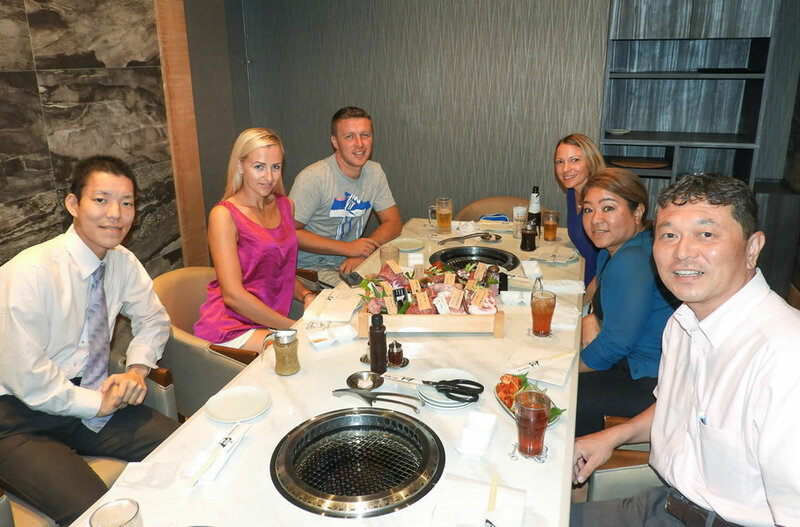 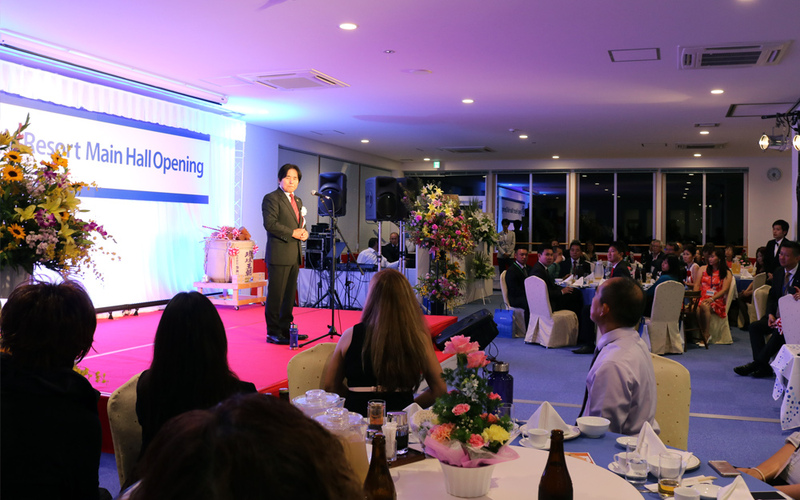 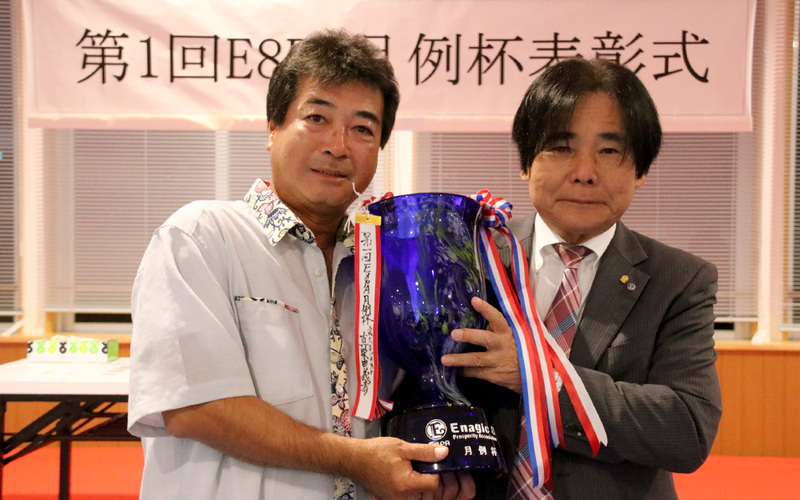 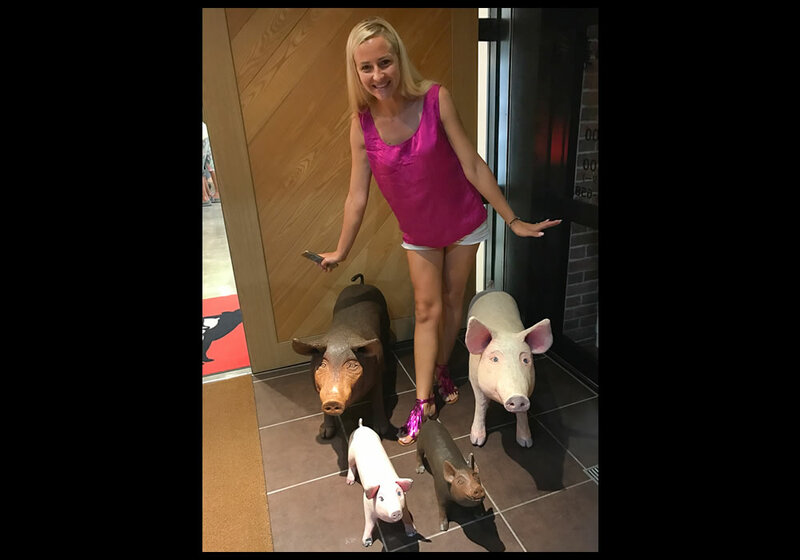 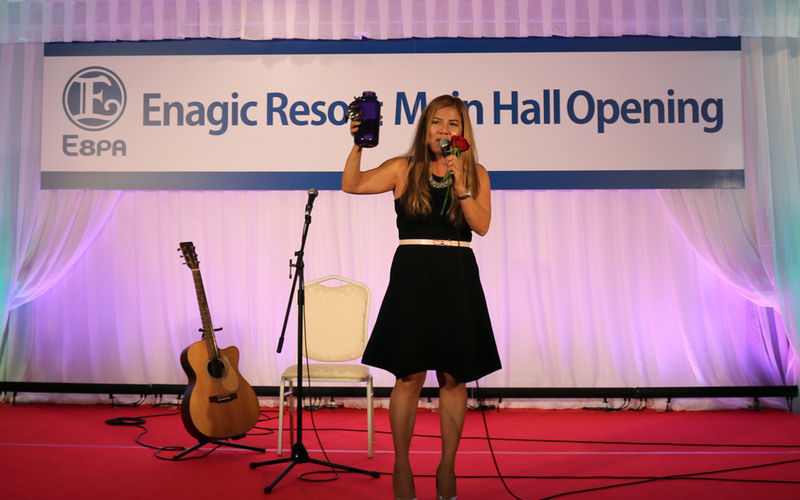 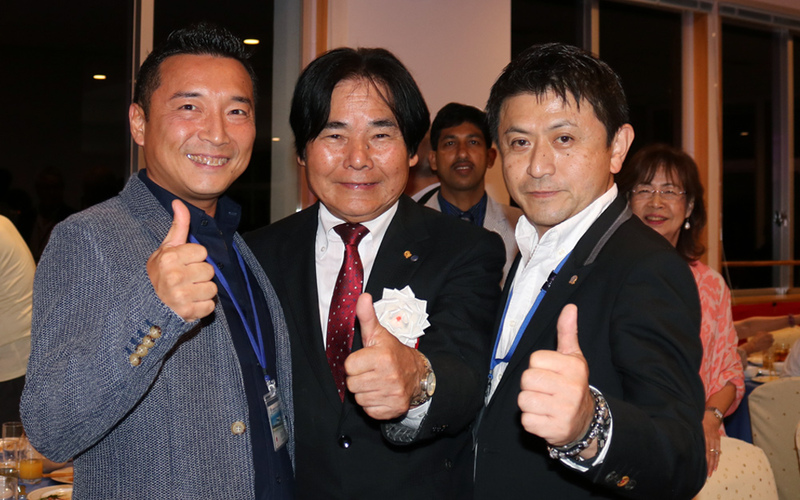 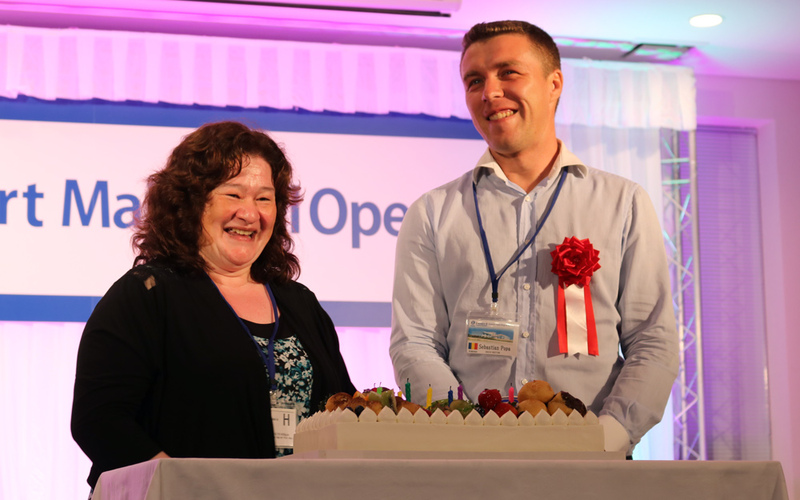 for trips to Okinawa and Osaka to visit our Enagic Facilities, and for trips to attend the Enagic Global Convention and Meetings worldwide. 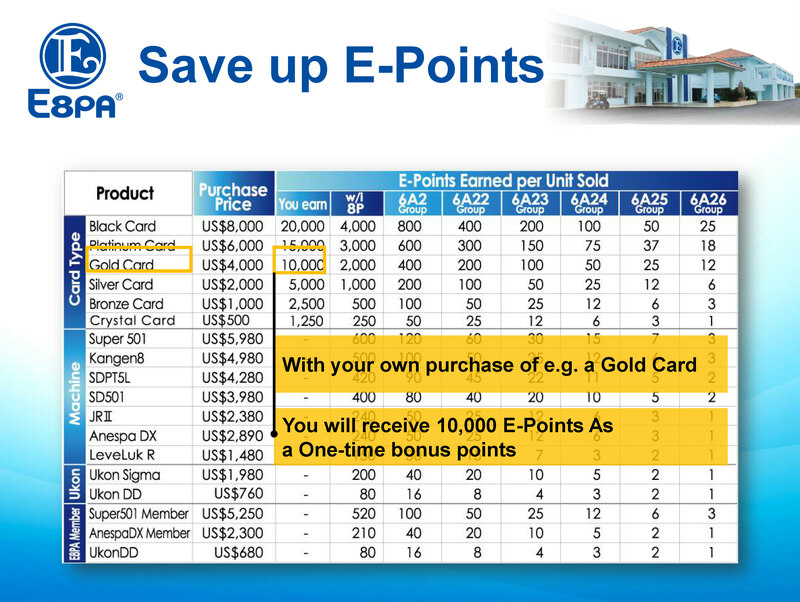 * Bonus points only applicable for single payment renewals. 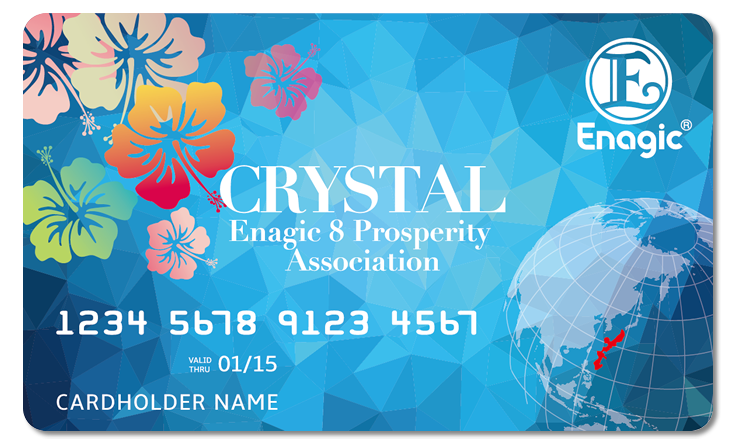 To renew your membership please fill in the application below and return to the Enagic Office in your area. 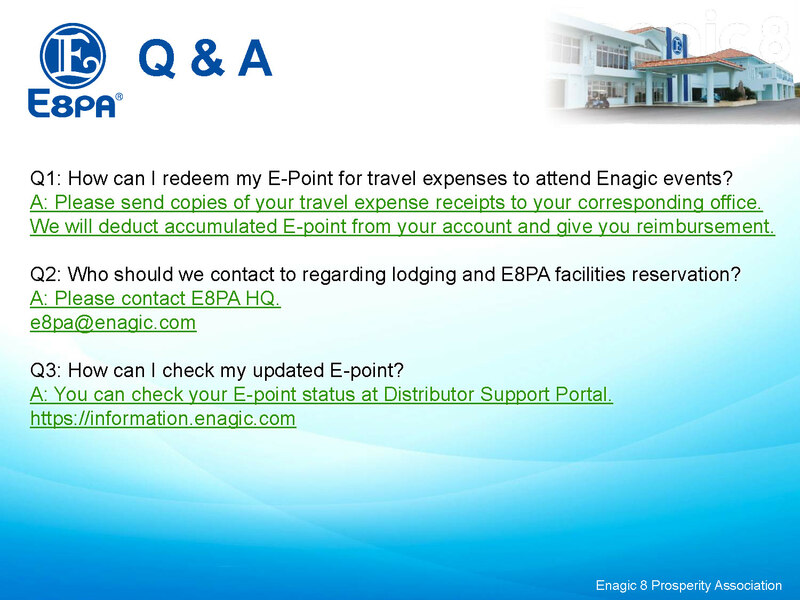 For more information, please contact your corresponding branch. 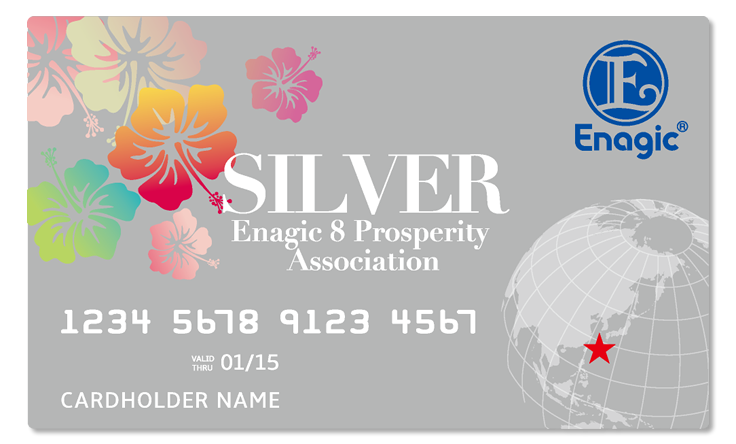 Copyright© Reserved by Enagic International - All Rights Reserved. 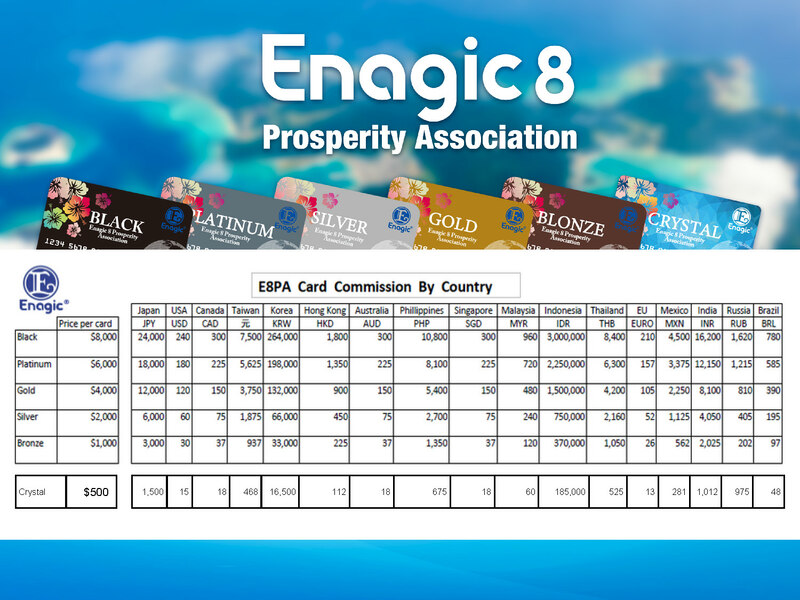 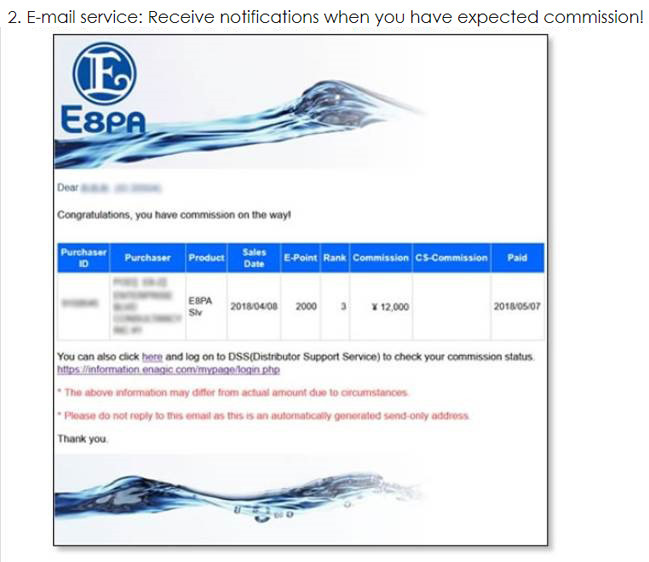 Kangen Water® is a registered trademark of Enagic International Co., Ltd.
We have just started providing Online 8-Point Sales Report / 6A Group Sales Report Service to Enagic distributors who own the E8PA Card. 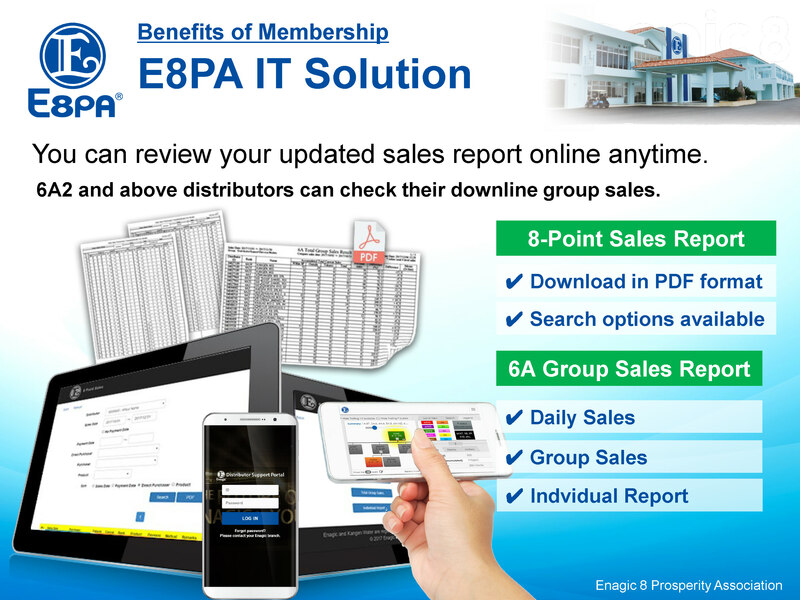 With this new service, you can check your updated 8-Point Sales Report / 6A Group Sales Report with your PC, Tablet or Smartphone anytime and anywhere. 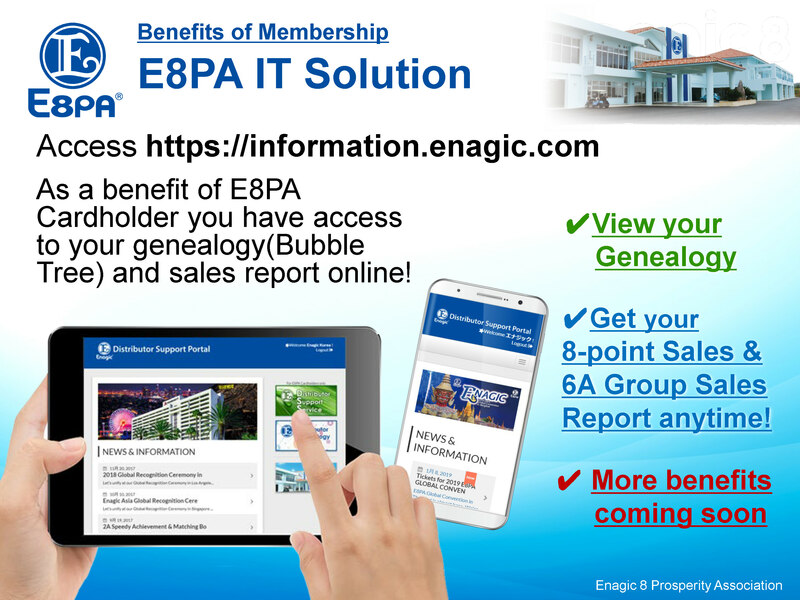 Click here for the Online Sales Report Service!! 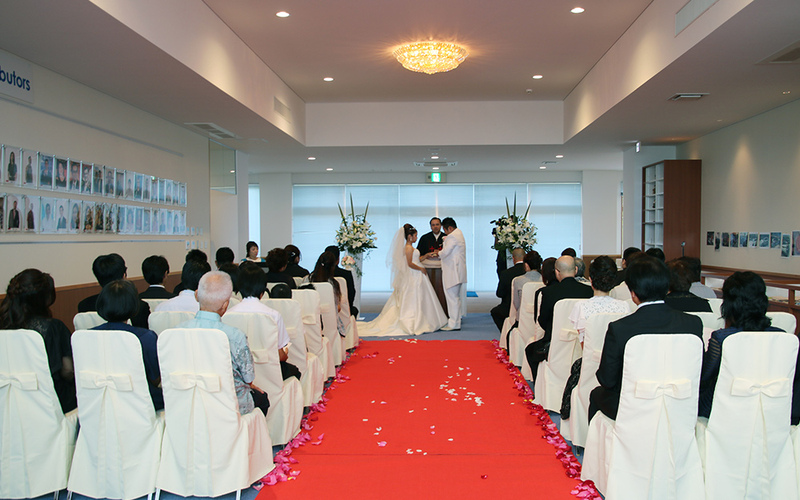 Please click on the link below to see instruction manual for the service for your reference. 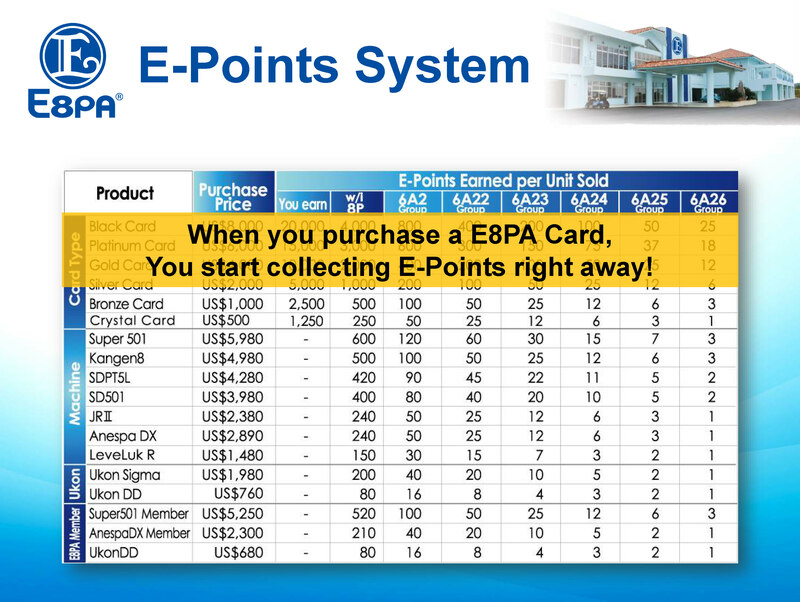 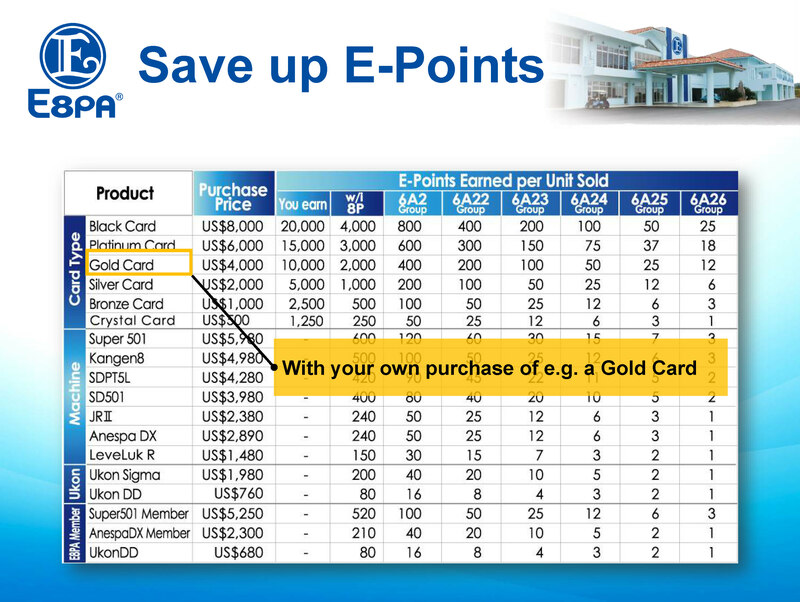 The Online 8-Point Sales Report / 6A Group Sales Report Service is available for E8PA Cardholders only. 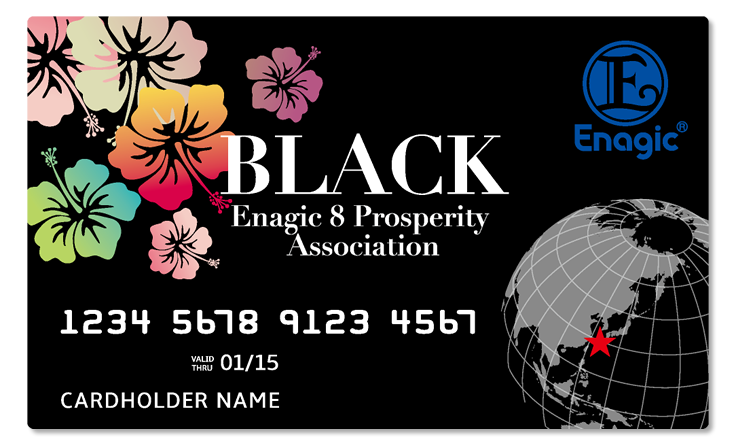 Get your card today and take another step forward to success and prosperity! 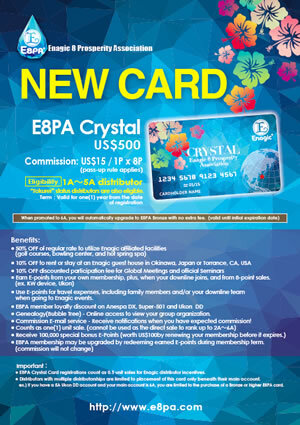 Please click on the link below for E8PA Card application.